During my visit to the Art book shop “San Serriffe” I didn’t know where to look because of all the attractive books. 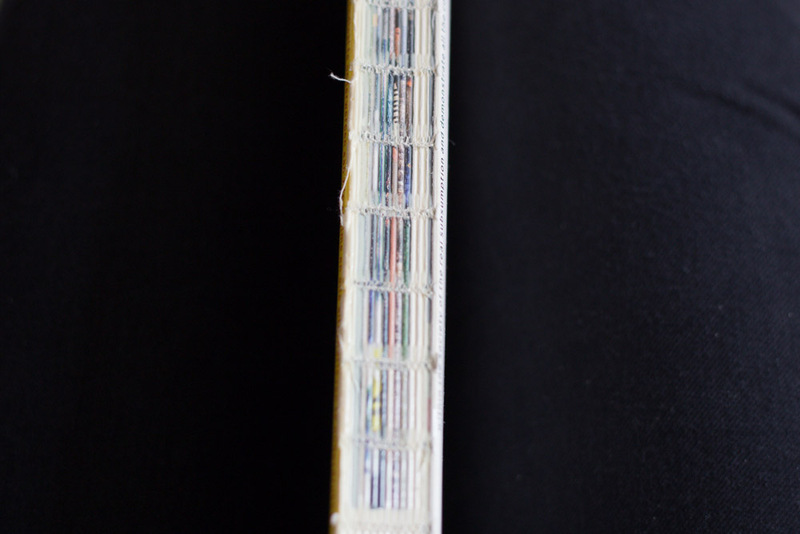 Between all the “shouting” book-covers I saw a serie of small (A5) books bounded by elastics. Curious I grabbed a random book out of the shelf, I saw that the cover was filled with text, even the backside of the book was covered with a big (± 24 pt.) san serif font. The subdued radiation and technical simple way of bounding was quite nice, according to my oppinion, and made me even more curious about how the inside of the book would look like. Besides that I am interested in typography and I want to know some more about Gerrit Rietveld since I study at an institute named after him. After I opened the book I saw that the inside of the cover also was filled with text, and the elastic is keeping a sheet of paper in position. This sheet only contains black-and-white photos, no text and is unfoldable to an (A2) poster, demountable because of the elastic. At that moment the question “Is this a book?” came to my mind. one A2 poster, thin paper, also folded to A5 size and an elastic. 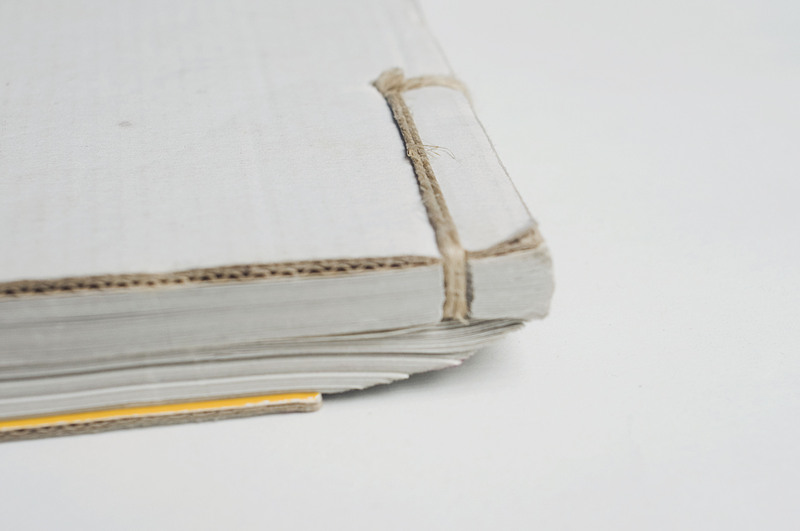 The elastic seems quite practical because now the book can be decomposed. I, deffinitely, call this a book. It is readable like a usual book, but it has a lot more opportunities, while it is a real simple system. Wolfgang Tillmans, (born August 16th, 1968), is, perhaps, known today as one of the most renowned contemporary fine art photographers. He is known as the “documentarian of his generation”, and is much regarded among his peers and contemporaries. If you have ever encountered Tillmans’ work, whether that might be a single photograph, a spread of his photographs published in a magazine, a book or an installation, the ‘taste’ and presence of the artist himself is inevitable. 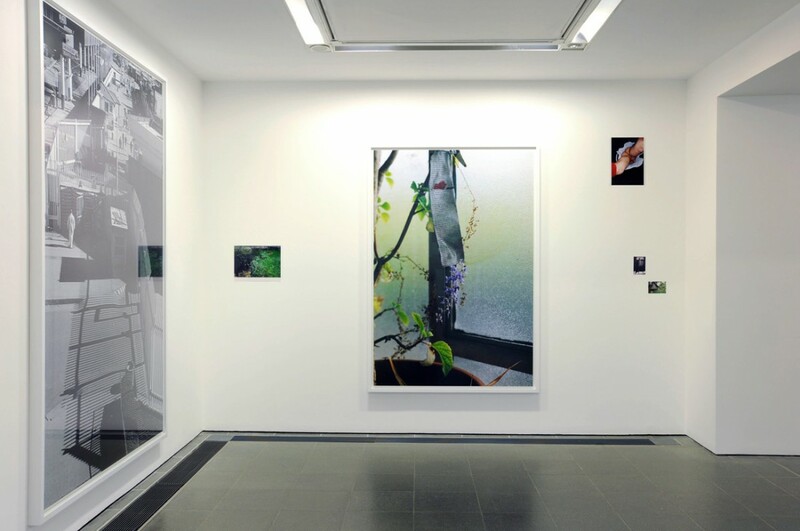 It is clear in the presentation of his work, that Tillmans ignores the traditional separation of art exhibited in a gallery from images and ideas conveyed through other forms of publication and presentation, and more importantly is giving equal weight to both. What stroke me at first as surprising and unusual, was that the artist is designing a book, or better to say is containing his own work, that at first might not have had the intention of being presented in that format. That is actually quite innate to Tillmans. Through a more dedicated research and engagement with his work I have come to realize that it is quite natural for me to grasp that he, in fact, does design end edit his books himself. 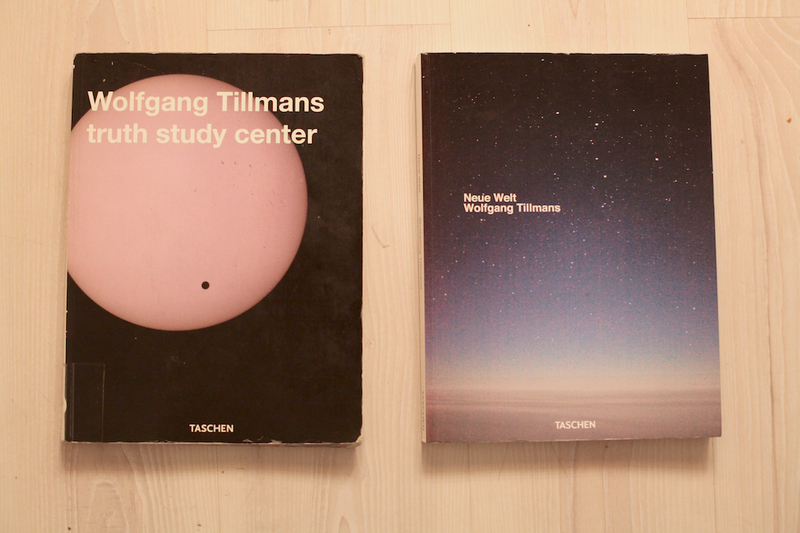 Concretely, I have found myself acquainted with three of Tillman’s books: Burg, Truth Study Centre and Neue Welt. 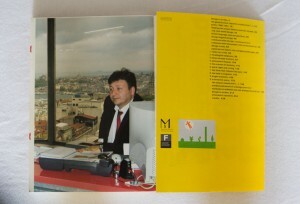 Burg being the first of the three was published in 1998, and Neue Welt the latest, published in 2012. All of the three, were published by German publishing house TASCHEN. 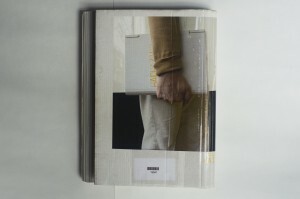 Although one might think that having such a big house as TASCHEN publishing your work would almost completely strip you of your creative role in the design of a book, Tillmans stated in an interview [link to full interview], that on the contrary, he has full creative control over the design and content of his books. The a fore mentioned book, Burg, is a bit larger in format than the latter two, which, on the other hand, incidentally almost completely resemble each other. They were published with the gap of eight years, however if we judge purely by “outside” traits, Truth Study Center and Neue Welt are ‘fraternal’ twin sisters. Unlike Burg, they are both soft-covered and their front cover is completely wrapped with a single photograph, and the author and the title are stated in the same white colored typeface, although the font size of the Truth Study Center is significantly bigger than that of Neue Welt. 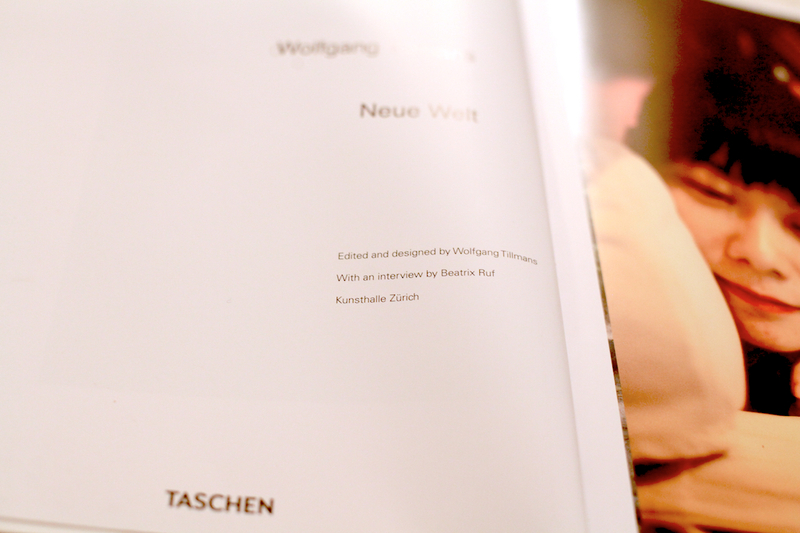 At the bottom center of the cover states TASCHEN, the publisher. 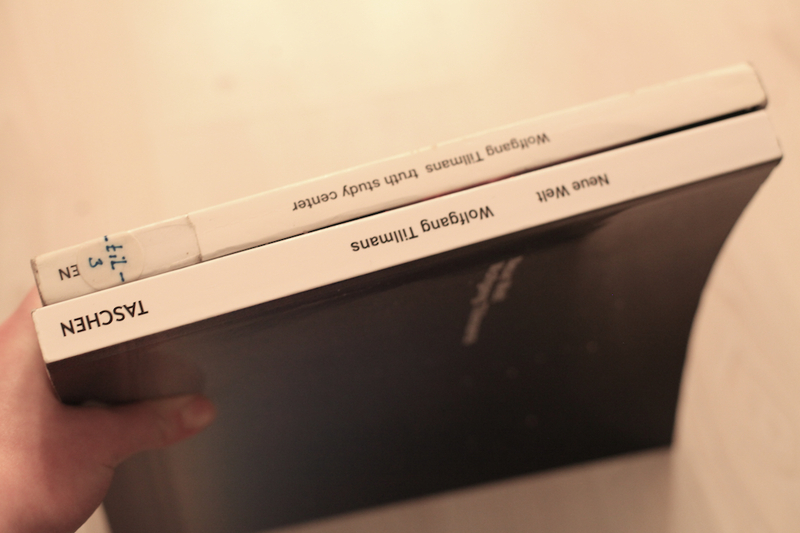 The spines of the books are, also, both white and use the same typeface, as that of the front cover. The back cover is, in both cases, a different photograph than that of the front cover. In spite of the slight differences, all of the afore mentioned books seem to share the same design principle. 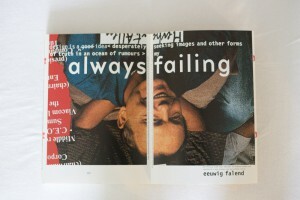 They either start or finish with an accompanying essay or an interview on Tillmans and his work, with the text pages being ‘interrupted’ or ‘accompanied’ with smaller scaled images of Tillmans’ work as if to kind of visually demonstrate the written content of the text, that being the case in Burg and Truth Study Center. The two mentioned, as well, end with listings of Tillmans’ biography and curriculum vitae, bibliography and words of acknowledgement and gratitude. information even more, as only the very last page contains publishing information. 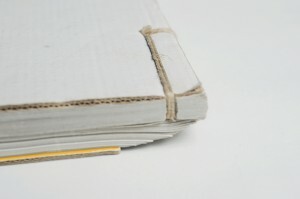 What is, also, unique to Neue Welt is that this book has both front and back cover flaps inside which is printed the index of all of the book pages. 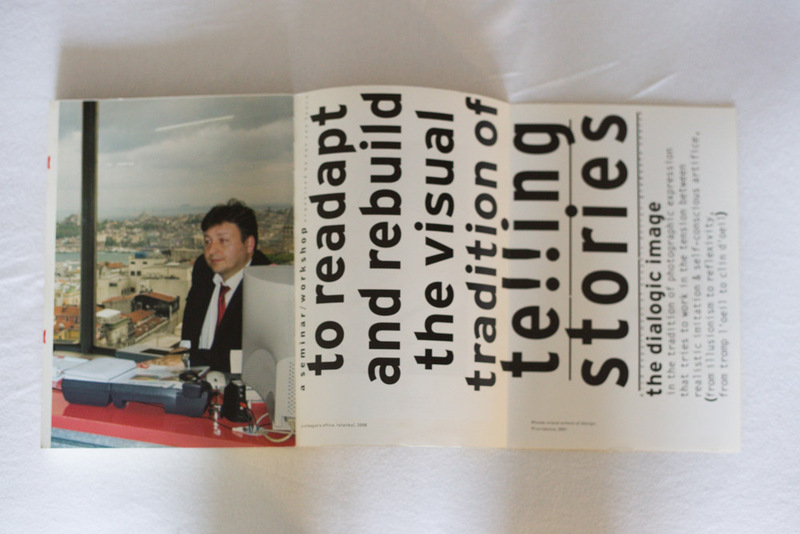 Except for the pages with the interview, in this book there is not one single spread that does not contain photographic image, from the front to back cover. Tillmans does not view books as collections/ archives of his work but as exhibition space in themselves. 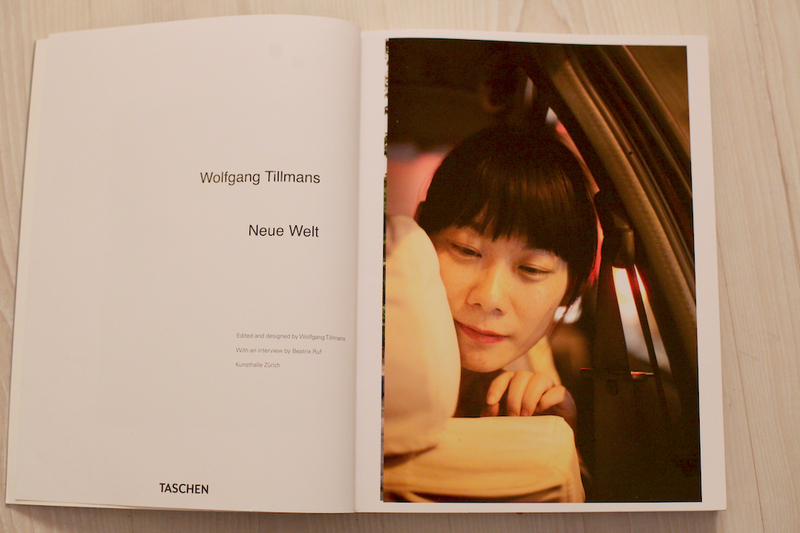 Neue Welt is constructed and should be viewed more as an installation of Tillmans work than a regular book. 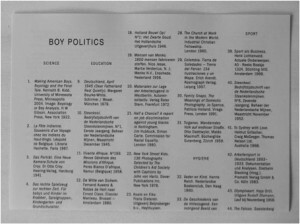 Whilst browsing through the book (Neue Welt) the white space of the paper becomes equivalent to the white walls of a gallery/ museum. 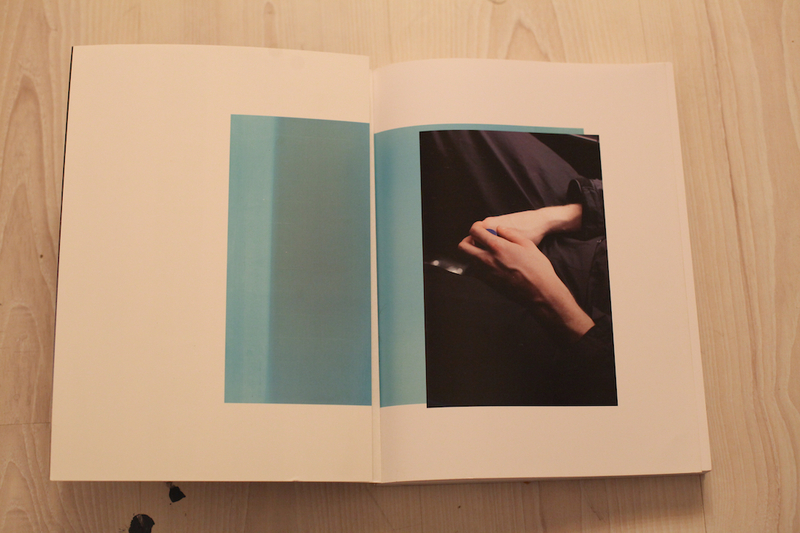 Tillmans designed the book in a same manner he would curate his exhibition. All of the photographs are carefully scaled and placed, not only to be true to the artists style but to give them proper space and interrelation to bring out the best of them and to create a strong work as a whole. Interacting with the Neue Welt the holder starts to relate to it and think of it as a sort of portable exhibition. The way it is designed, the viewer is not only challenged to engage with each singular picture or a narrative that is usually expected in photo-books, but with the connections Tillmans creates between the photographs. Having that in mind, holding his book in your hands feels almost like a privilege. The same kind of privilege one feels when one sees an exhibition of an artist’s work. Engaging with these books, for me it was very interesting to see how they become a work of art in itself, through process of design. Although, as a viewer you have the liberty to observe every single image in depth, it is in a way impossible to ignore the whole structure and rhythm of a book as a whole. The artist’s language and modus operandi is inevitable. I ascribe this to the fact that it was the artist himself who designed his books. 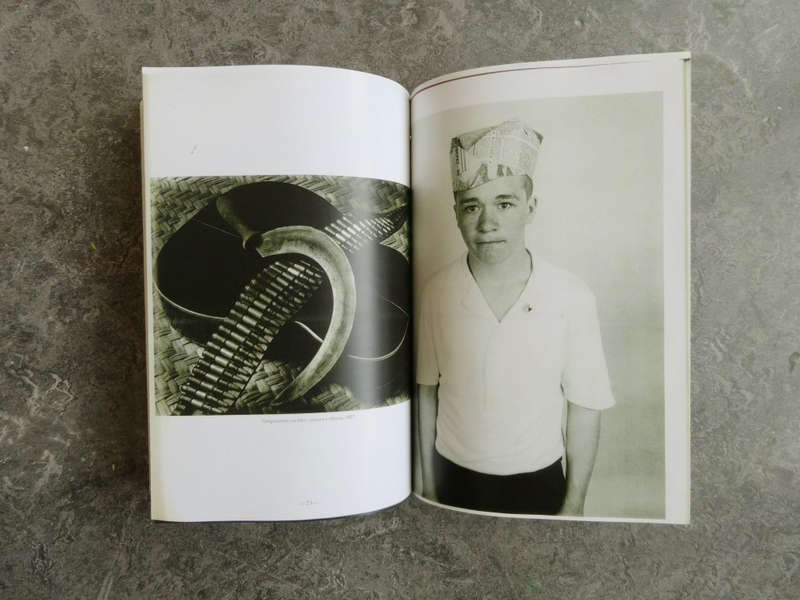 During my studies at the Rietveld Academie, I have myself had the chance to be a designer of my own books, and it was whilst working with the photographic content of my own that I learned how differently does this content work in the medium of a book. 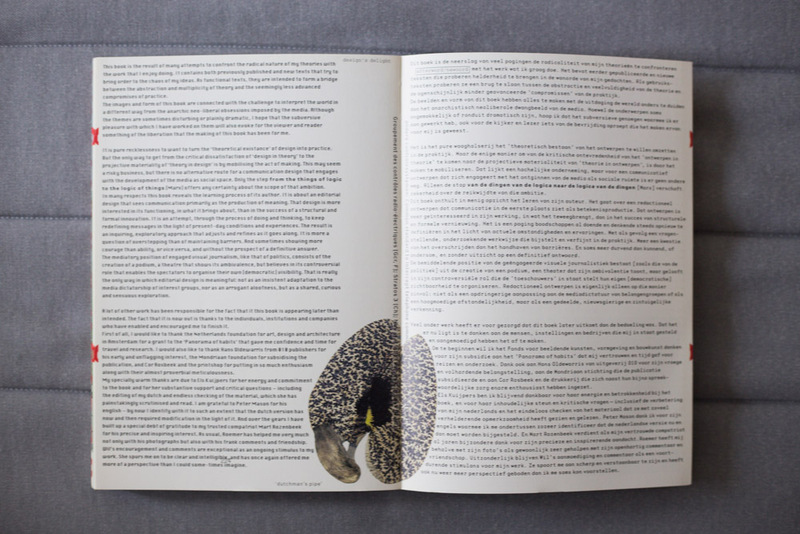 The format and structure of a book give the content a new meaning and experience than observing it as single, or even series of photographs printed and pasted on a wall. 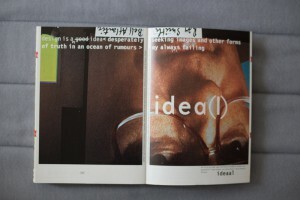 I am of the opinion, that it is the artist personal involvement and connection to the content, while designing it that creates this special flavor of the book and it would be interesting to see the direction in which book design would go if more and more artists were designing books on their work themselves. 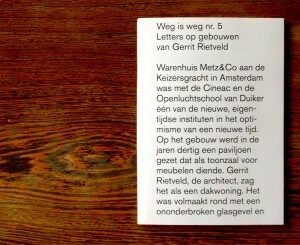 Neue Welt has unfortunately not yet been acquired by the Rietveld Library, but is author's own. When I walked along the bookshelves, trying to find the most interesting book in the entire library (which is quite a task I have to say), the first thing I noticed that I was not able to read the title on the spine of one of the books I was passing. Usually I would just pass by the book, like people pass by signs written in a language they do not understand, besides, I am not interested in books which are not worth adding the title on the spine of the book. It is almost like the designer tries to tell you already that it is not worth it. Though the title was on the spine of this book and it was in English. 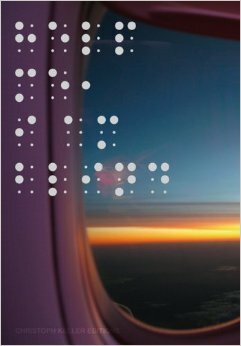 The reason why I could not read the title of the book is because the title is written in braille. Not in the way of feel-able braille but in big and small dots. The dots are printed in silver on purple, reflecting the light in the room which makes it even harder to ‘read’ or recognize the text. I now realize that it is a pity books are to be read from left to right. Since then the front of the book is on the left side of the cover. Because of this and the fact that the majority of the people is right-handed, you will always see the back of the book first when you get it off a bookshelf. Most books are designed with the thought that you will see the front of the book first and the back last. If you experience the book the other way around, you get answers before you even have questions, causing you not to be interested in looking any further. So I grabbed the book from the bookshelf with my right hand. Unintentionally already reading the back of the book, which contained both the title, the writer and photographer of the book. So when I turned the book in my hands to the front it already was not a question anymore what this previously so intriguing text in dots on the front of the book meant. Though what I immediately noticed when turning the book in my hands was the nice manageability of it. It has the size of a small purse, a slightly bit smaller than A5 paper format, which makes it very hand-able. I personally always appreciate this very much in a book. I do not like to read books which are so big you can barely hold them or so small you can not even hold the pages without covering at least a quarter of the page with your thumbs. In my opinion reading a book should be a pleasant and comfortable activity, independent of the content being pleasant or not. Unless, of course, it was the artists specific intention for the book to be not comfortable or pleasant in its physical appearance. Another thing I noticed, when turning the book in my hands, was that the cover was filled with one big picture spread over both the front, spine and back, keeping the three connected as one. The picture slightly being out of focus suggests the view of a sunset with an object reminding me of a curtain partly covering the view. Also this raises questions, it being partly unclear about what you are seeing. You can quite clearly recognize the sunset though the object in front is raising questions as ‘what is this object?’ and ‘where are you when this object is in your view?’ The last thing I noticed before actually opening the book was that the sides of the papers were black, matching the dark design of the cover well. 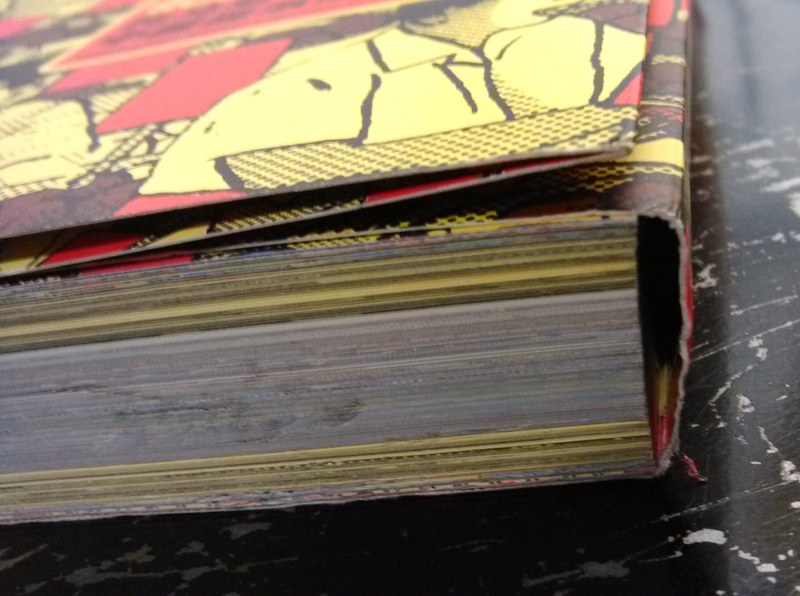 The black edges keeps the book together, prevent the book from splitting up in paper en cover. 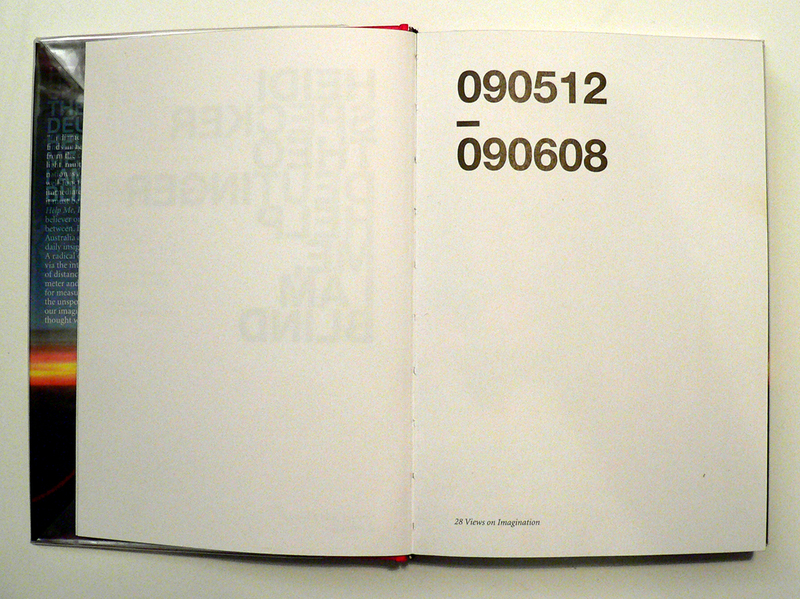 When I opened the book on the first page, I was confronted with two numbers divided by a short horizontal line. When taking a closer look I found out that those two numbers stand for the passing time in the book. The texts in the book start on 12/05/2009 and ends on 08/06/2009 covering 27 days of the southern hemispheres autumn and the northern hemispheres spring and summer. Every single day in that month is represented in the book. First by one or more pictures than by a text. 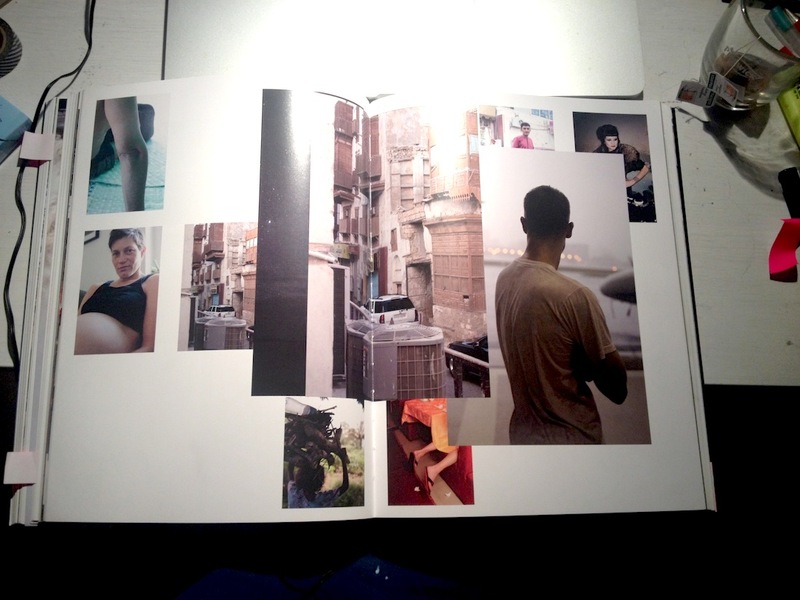 These pictures (by Heidi Specker) from Australia are given another meaning through the texts (by Theo Deutinger) from Rotterdam. 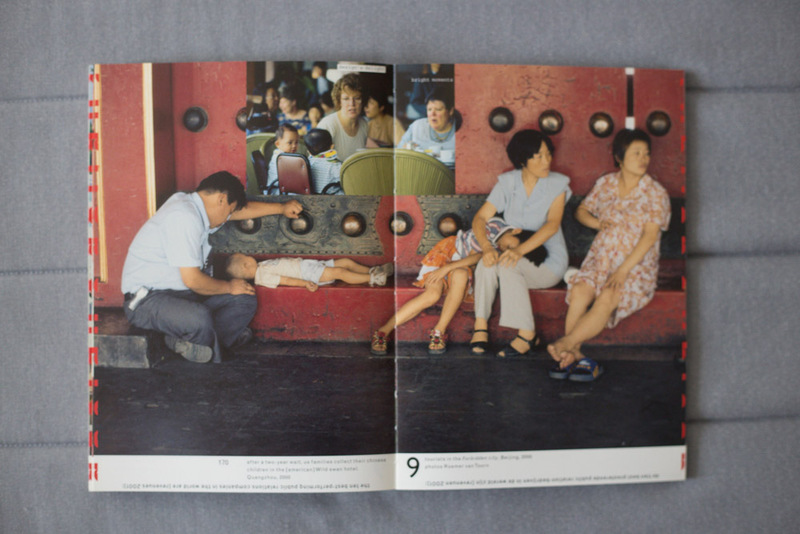 The Book is build up in such a way that you are first confronted with one or more pictures, allowing you to find your own connection with and between those pictures. All these photos cover a spread, only allowing you to take in one photo at a time. While looking through these photos there is never one clear answer to the question what connects them. Is it a subject? An abstract keyword? Or just the day those pictures were taken? The groups of pictures are followed by the texts, which always start with the date and the title on top of each other divided by a short horizontal line. All the texts start on the right page, leaving an empty white page on the left. This empty page is very pleasant when going through the book since it allows you a deep breath after those very informative photos. 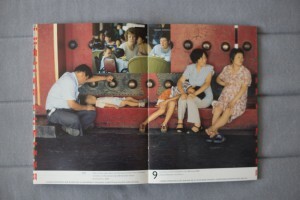 The content of the text seems to be based on the photos without any further knowledge gained from the photographer. They start right from what you see and develop into a more personal description from the writers perspective. In this way Christoph Keller both brings back and abandons the distance between Heidi Specker, the photographer, who was there to experience Australia through making photos and Theo Deutinger, the writer, who experienced Australia through the photos and his texts. 1979 was the year of victories, revolutions, delusions and cultural innovations; it was the year of the end of the Pol Pot regime in Cambodia, the year of the independence of Catalonia and Basque country, the year of Francis Ford Coppola’s „Apocalypse Now“ and the year of the invention of the IKEA Billy bookshelf. But why do I all of a sudden care about this particular year? Was that year mentioned in the news lately? Or did something happen in that year that I have a connection to? 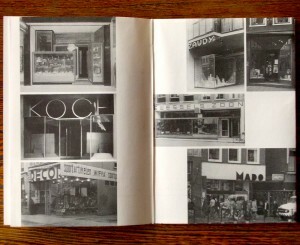 The year 1979 got my attention through the “Werker 2” Magazine I found in the “San Serriffe” Bookstore [x] in Amsterdam. 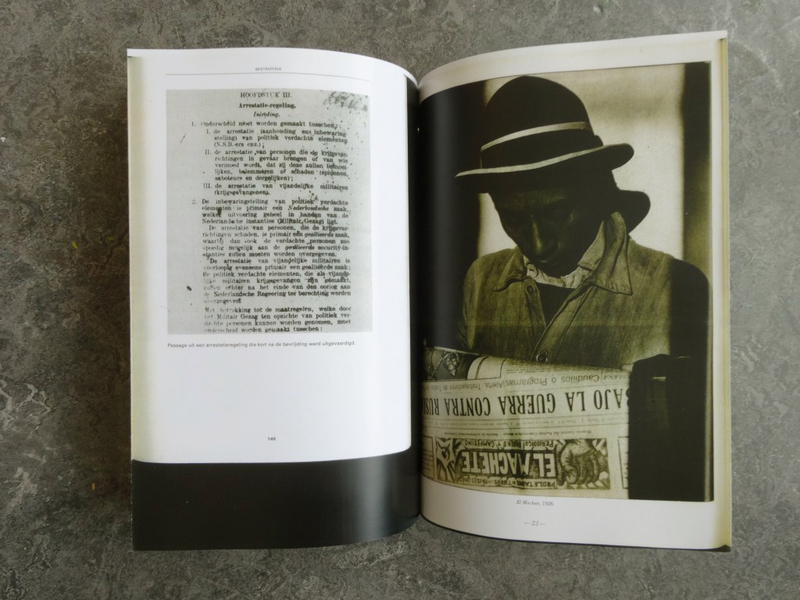 With photographs and texts selected from secondhand publications – printed enlarged in blue-white – they show us the history of young men at work, of unemployment and of protests. In the very special way they stage the pictures in the magazine, it becomes very obvious that photography was and is still a medium that communicates the essence of a situation. Skimming through the pages of the magazine I get roped into the images and texts and I am interested to learn more about the historical context. Why do these old photographs fascinate me so much that I want to know more about them? And would it be the same if I saw them in an ordinary news paper? What is the link between design / art and history? A lot of artists or designers are dealing with these kind of questions. In our time, in which everything is well designed and life is getting faster with every new technical invention, our eyes are used to being attracted to things that look nice and are easy to get. That is why it is getting more and more important that art and design connect with history and trigger people with unusual visual elements into getting interested in whats happening all over the world, about history and its connection to today, since a lot of people don’t even read the newspaper anymore. They don’t bother reading long articles anymore, especially if the layout is unattractive and uninviting. Not only Marc Roig Blesa and Rogier Delfons are dealing with this issue. Other artists since the post-mordern movement, like Ai Wei Wei, El Anatsui and Allan Sekula who also appears in “Werker 2” magazine, are discussing political events with photographs and philosophical essays. Such political photographs or artworks have there own language which is mostly stronger than just an article in a news paper, because the artists automatically point out their own view on happenings in a visual way. This brings the topics and concerns closer to the audience. It is often so, that we feel more connected to things as soon as we see that these things bring up emotions in other people to which we can relate. 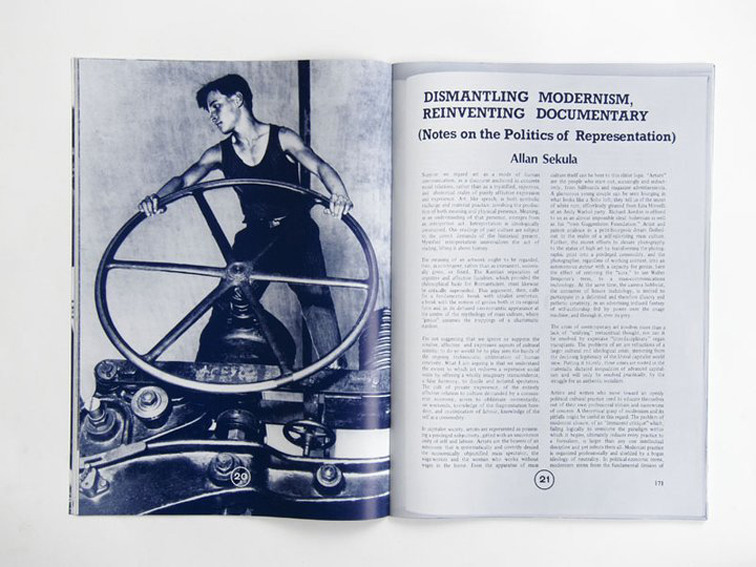 By zooming into old secondhand publications and combining text with images, the two designers Blesa and Delfos display the line between the different worker-movements during the 20th century. They take us on a journey through history in a very atmospheric manner. This intrigues me. The blue-white colours take away the old notion about the photographs and translate them into a modern design. With this simple „trick“ they show us that history from back then is still fundamental in today’s daily life. 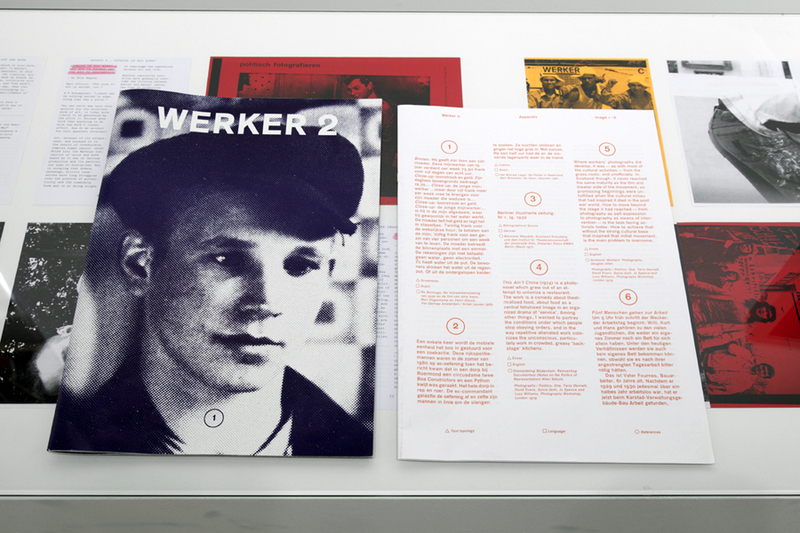 To me, this issue of the “Werker” Magazine makes it very clear that design is very important – if you want to reach people, arouse their interest and trigger their emotions, the layout is very decisive. Don‘t just string together texts, add some pictures and that‘s it. Such a design is outdated in the present media world. But if you present your content in a form which is entertaining and at the same time visually attractive, you will not only attract attention, but also lay a bridge between a interesting topic and an interested audience. 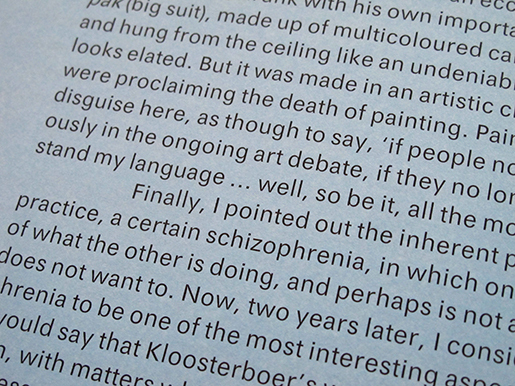 I think that Blesa and Delfos have mastered this challenge in their “Werker Magazine”[x] in a very succesful way. 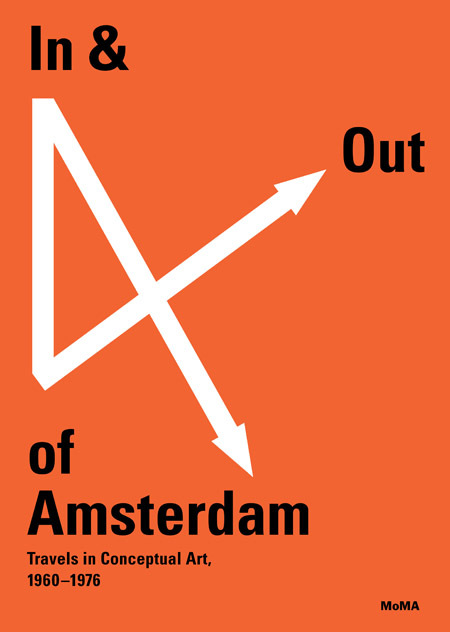 Let’s go back to the sixties.Wim Crouwel, who was born in 1928, is a graphic designer, who was influenced by digital developments of that time, saw an opportunity for an interesting experiment. Early computer screens rendered images in fairly large pixels, making traditional curvilinear letterforms difficult to reconstruct, and so Crouwel set out to redesign the alphabet using only horizontal lines. 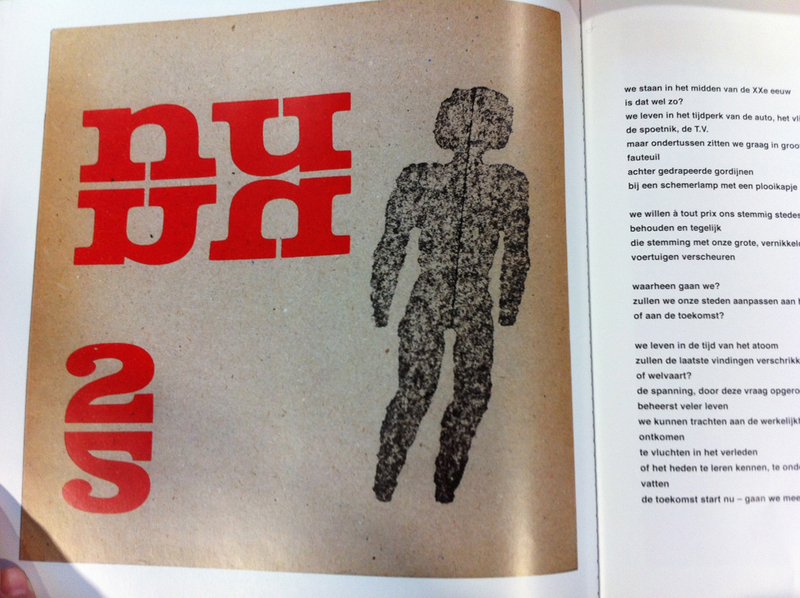 The ‘New Alphabet’ was published in 1967 in Kwadraat-Bladen: A series of graphic experiments (1955-1974). Considering these two famous and important publications, (because nobody did something similar before) you can see two opposite approaches in design modernist/functional by Wim Crouwel and content based by Anthon Beeke. Now I can boldly return to the book. The ”Body Type” was published in August 2011 and despite that fact (in the past they have been opposites) for this publication they worked together. 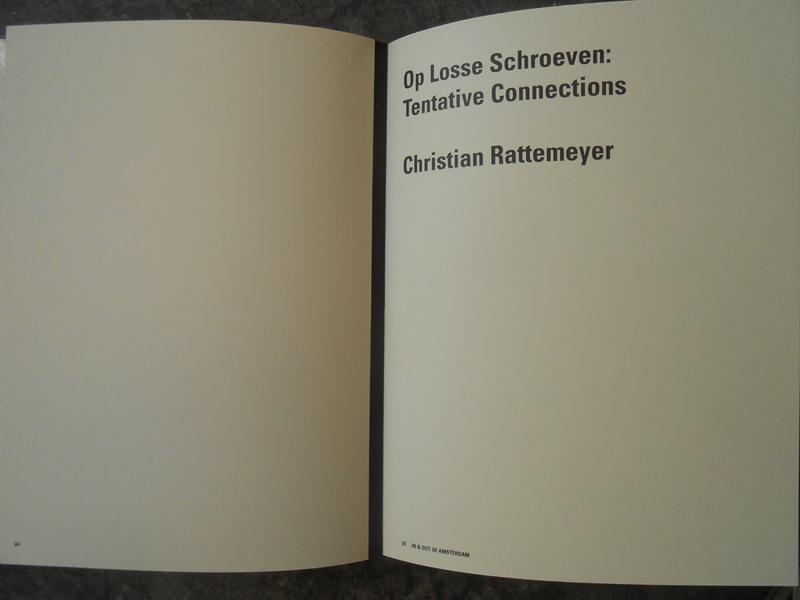 Two completely different, I can say loud events of Dutch graphic design, have merged into a single edition. Just like ”Beautiful girls” in the past this book is based on an alphabet with naked bodies but all text of the book is written in New Alphabet by Wim Crouwel. 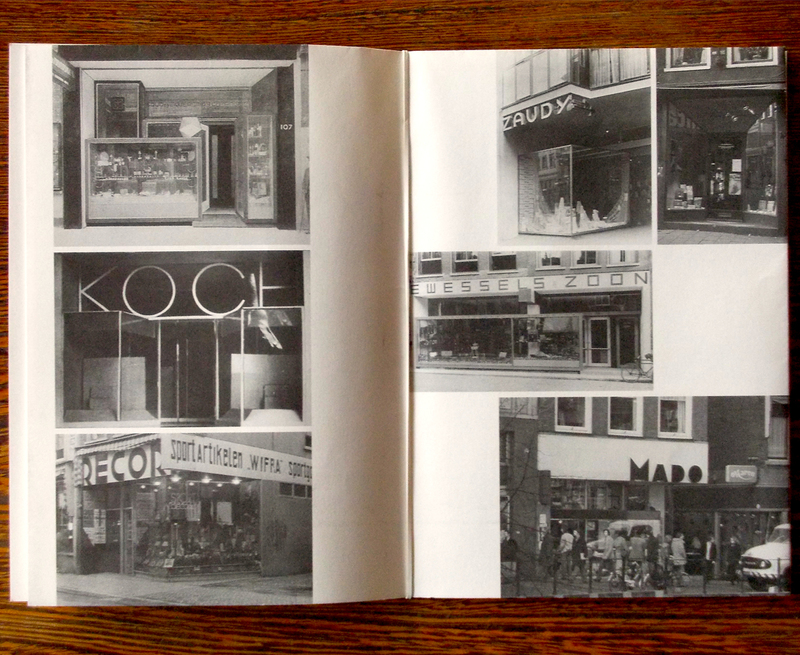 Also one more graphic designer Rene Knip (1963) is included in the work and designed the looks of the publication. With this I mean a book-box, which I will try to describe in details. 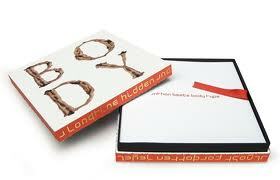 The box follows the tendency of square form (the tendency of Kwadraat-Bladen), front edges are white with a representation of the type ( B O D Y – T Y P E ) and lateral edges are in red with golden text in Crouwels New Alphabet. Inside this colorful box I found one more simple black interior box ,which separates a cover-box with a content of the book with the same color palette and, in my opinion, with the black line this construction attracts much more attention to itself. Besides, opening a box, I’ve noticed a red silk tape, which helps to remove the book from the box easily. 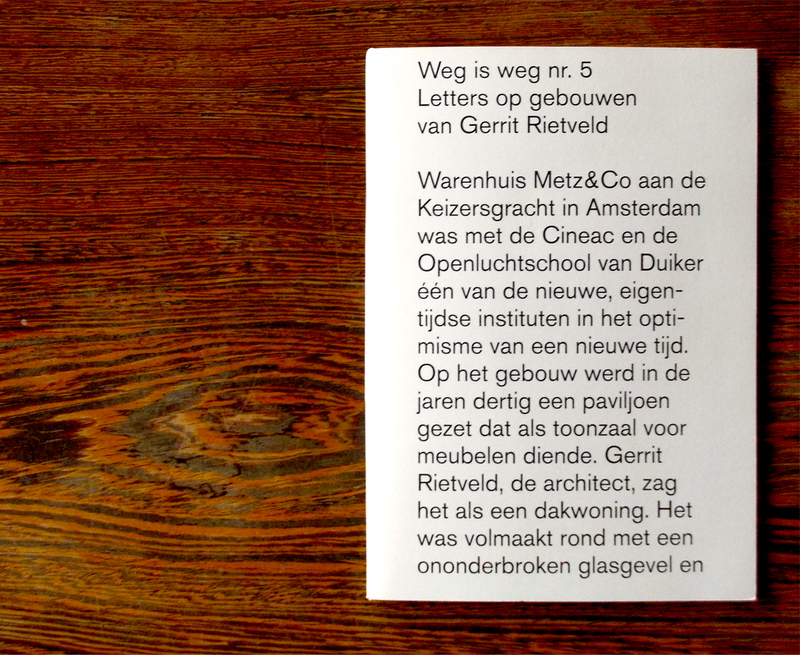 The content of the book is separated in three parts.In the first part you can find an introduction, which was written by Wim Crouwel and a text with images that is related to the publication, to the past and to the roots of the alphabets of both Crouwel and Beeke. ”Body Type” combined in itself works/ styles /approaches of 3 different famous Dutch graphic designers of 3 different generations,in other words this book contains an experience of key figures of graphic design. 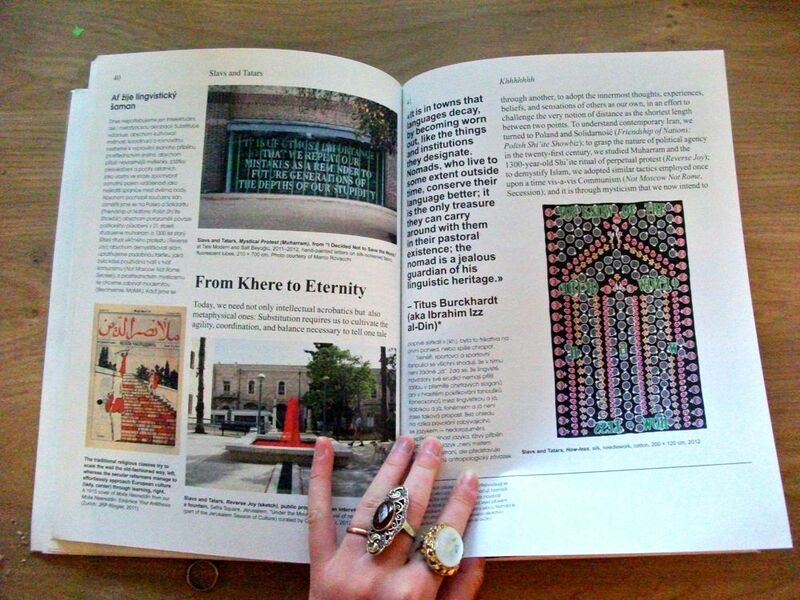 That is why this publication is not only a book but more like a monument. The second part of “Body Type” is the alphabet itself. All letters, number of the Latin alphabet are separated from each other. Every single letter placed on a single square paper sheet on a white background. 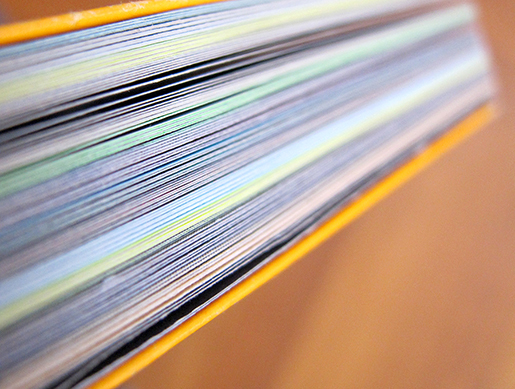 Everything is printed on a quality and a bit glossy paper. In contrast to “Beautiful girls” letters of the alphabet are spelled from not only naked women but naked black black men as well adding a new controversy. By virtue of choice of color and paper this publication looks fresh, interesting and makes us curious to explore its content. In the third part you can find a set of letters and punctuation marks, so you can tear them out and string them up to bring this alphabet to life in words and texts. There are four similar letters/punctuation marks placed on each page so you can cut it, one from another, using a dotted perforated line. In the end I would like to add a couple of words about the name of the book. To be honest, I was looking through a list in a library and the name “Body Type” was the first, which I paid attention too. I was trying to look for it more then 30 minutes, but I couldn’t find it. Then I tried to find another book but this name was in my mind and kept me interested. Finally the librarian of Rietveld Library told me that this book is special and it is located in a safe place and I remember that I though “I have made such a lucky choice”. I was thinking how to name the post and I have decided to save the original name. Books. They are there. Just there. As long as I can remember. Starting with Maan, Roos, Vis (Moon, Rose, Fish) and Wie heeft er op mijn hoofd gepoept? (Who shitted on my head? ), learning the alphabet, learning how to read. But there is another way of looking at books. a total different kind of books. How does the book look like and why. Why is it done the way it is, why does it work this way and why did they do it. When we were looking at the books in the library of the Gerrit Rietveld Academy, this was the book that got my attention. “Boy Politics”. It’s the color of the cover I saw at first, the grey, green color. Typical Rietveld I would say. Now when it’s lying next to me in the room, it’s almost like camouflage against the wall. Maybe this color is something we inherit from the Rietveld because the designers of the book, Anton Stuckhard and Andrea de Sergio both graduated last year at the Rietveld from the Graphic Design Department. Second thing you see: the way of binding. Screws. Good combination with the title I would say. Boys. Strong. Screws. Politics. Connection. 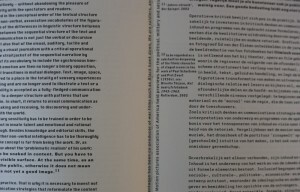 On the cover there is only text, 5 narrow columns next to each other. The title is pretty clear in a simple fond. The cover is the index of the book but on the same time every number in the columns is related to another book. The front and the back cover page form the index together. Because it’s simple and clear you get immediately a lot of information. There are ninety-one numbers, relating to the other books and twelve different themes. Science. Education. Work. Family. Hygiene. Sport. Media. Art. Sexuality. Murder. Music. Fight. When you turn the book around there is in the right upper corner a small text. It tells about the makers of the book, they didn’t design the book but they designed the presentation from which the book results. Marc Roig Blesa (2009, VAV, and Rogier Delfos. They work also together at the “Werker” Magazine. 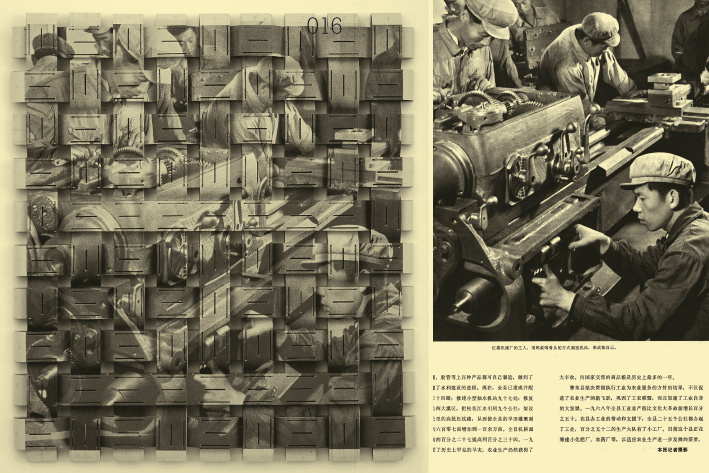 It’s a contextual publication about photography and labour that inquires into the possibility of formulating a contemporary representation of work [link]. 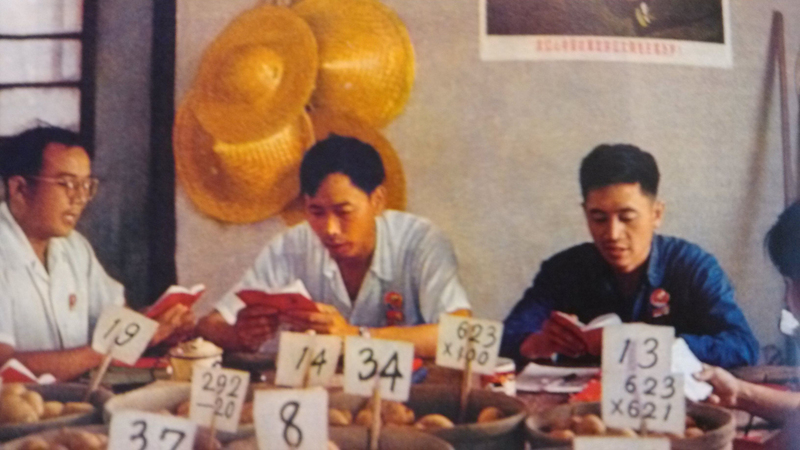 While reading the small text you find out that the whole book is made out of ninety-one other books, the other books related to the numbers on the cover. The pages out of the books they choose are a visual essay analyzing the historical and still present instrumentation of the figure of the boy. All the books used are from Roig Blesa’s personal book collection, published between 1920’s and 1990’s. These books were presented at the Rietveld Library, organized in conjunction with the Marginal studies, a workshop by Marc Roig Blesa and Rogier Delfos at the Graphic Design Department. In the vitrines they presented the different books, opened on the page you see now in this one. So in a way, the design of the presentation was determent for the book. In between the different subjects there is again a thin paper with the index on it. All the books in the vitrines had a number, these numbers are the numbers related to their place in the index. The pages are printed on a bit bigger than A3 format, but they are folded in the middle so the size of the book is kind of A4. The folding of the copied books and the folding of the A3 paper isn’t the same. It’s done that way that the left page of the first book becomes the right page of the new book, and so they form a new page with the second book. The difference between the images is very nice, they change from black-and-white into color and back again. Because it are all copies from the old books, they couldn’t choose them self which images would be color or black-and-white, but the rhythm in it is great. On the side of the pages you have a folding line and not a cut, you can open the page and see the copied book page in total. When you flip one page, you have two different books next to each other but that’s something you almost don’t recognize. The different size is what you see immediately but the subjects are the same. Also the switching between text and images makes it interesting to look at. On the top of the page there is on every page a small white line and on the bottom there is only black. Just to make sure that you see that it all are copied pages. Reading for me was a bit harder because the language of the books is various. German, English, Spanish, Dutch. The image language in the book speaks strong, for me at least. The way the different books (Werker and this ‘catalog’) were putted together, forming a relation, made me curious how the rest looked like. Because the text that’s on the pages isn’t complete, you mainly focus on the images. As said before, a visual essay. 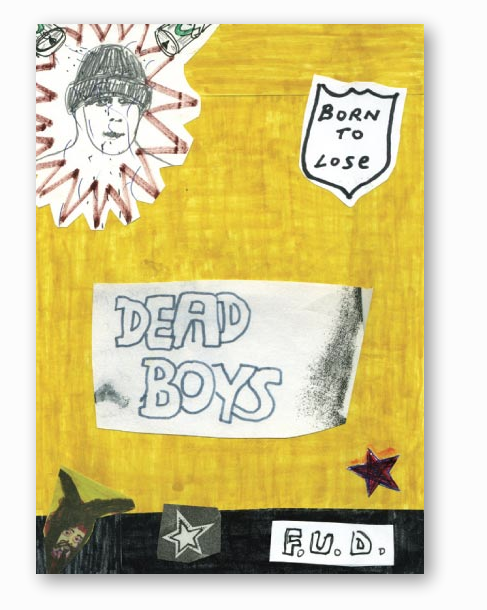 While relating to the year the books are made and the photo’s it was for me a playful and inspiring way of trying to understand a bit of the boys history. The size, the weight, the coloring, the screws, the simple idea of only photocopies turned into a book, makes you want to hold it in your hands and really understand it. 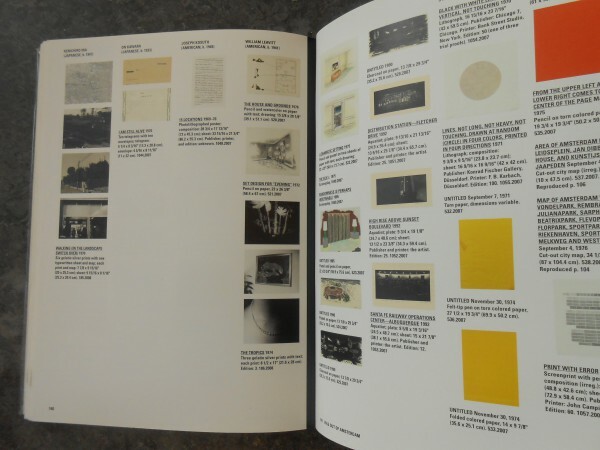 In a way I think that the designers of the exposition were the main designers, they were the ones who provided the inside of the book and related the images. But without the strong outside it would have remained only a temporary presentation. The designers of the book found the perfect solution in translating it. 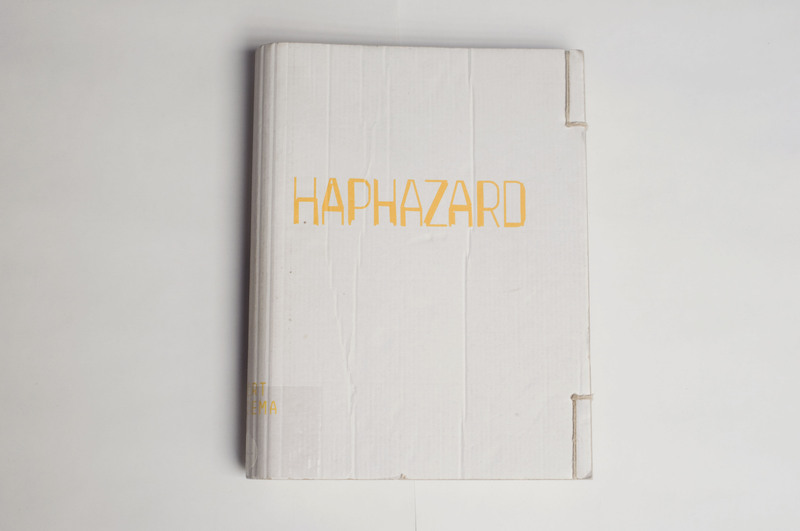 The ideas & steps behind making ‘Haphazard’. Analyze a book which is interesting because of its design. So the book needs to be interesting, apart from the content. I discovered that it is almost impossible just to take a book because of adesign however interesting it may be. The content and design are often so closely connected to each other. With this book it was different. The first reason why I took it: the cover. I had really no idea what the book was all about and I also didn't understand the title. No, I just took this book because of the cover. Between all these 'regular' books, there was this one book with a cover made of cardboard. Cardboard? That seems interesting to me. 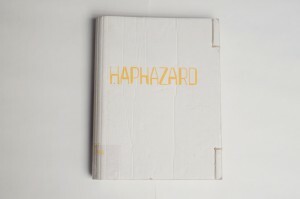 René Put [x], the graphic designer of Haphazard, told me that you can not ignore the cover. The manner of binding confused me when I opened the book. The way it is bound, on the right side, gives you the idea that half of the book doesn't need to be seen. That it is a secret, hidden. I have the idea that there's a link between the paper which is chosen and the work of the artist. The artist, Ellert Haitjema, is working with natural materials and material he has found in the streets. This paper looks like recycled paper. Not glossy, it has a more natural look. Isn't it a pity that some pictures on the middle of the page, are folded? What I wondered about, when I took this book out of all the other 'normal' books, was; how is someone making a book like this? For instance, when you're a graphic designer, what kind of steps do you make during the process of designing such a special book. At first, I thought there was no direct link between the design and content of the book because from the design you couldn't get an idea of the content. In the end, I know better. When you take a closer look, you see that there's a link, off course, but a subtile one. Graphic Designer René Put let me see what is all necessary by making a book. Which choices need to be taken and which ideas are behind all these steps. ‘Intentional Stance’ presents works by ten young artists [Eric Bell & Kristoffer Frick, Fritz Bornstück, Mitchel Breed, François Lancien Guilberteau, Fiona Mackay, Saskia Noor van Imhoff, Emma van der Put, Laurens Stok and Amanda Wasielewski] who conclude their two-year working period at this internationally acclaimed postgraduate artists’ institute (De Ateliers 63) at the summer 2012 exhibited between 23.05. – 03.06.2012 in the exhibition curated by Bojan Šarcevic. 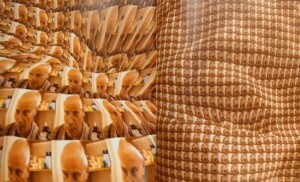 The publication is very much like an exhibition. The cover itself lists the names of the artists featured inside, the name of the publication, dates of the actual exhibition, the above mentioned institution and its location. All this would come across as rather informative, in my opinion, if the cover wasn’t done in only one color. 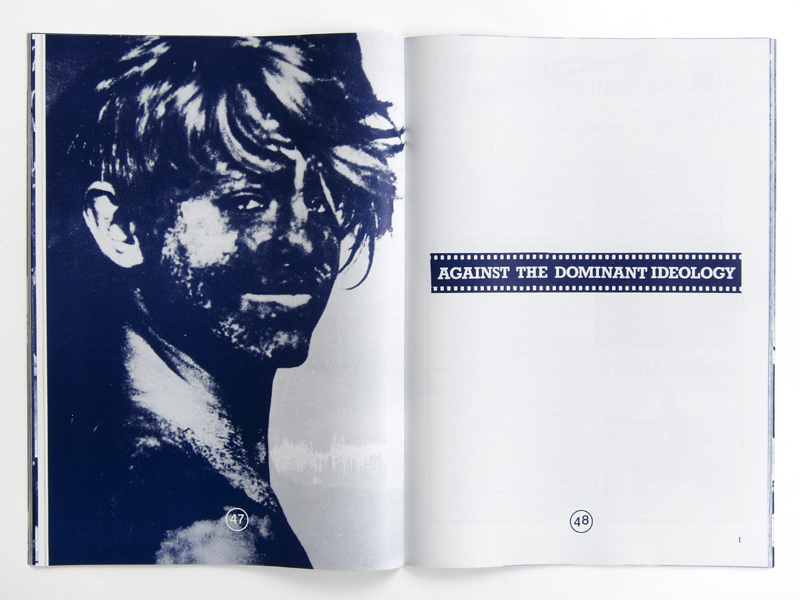 Nearly the whole publication is printed on a dark blue heavy-weight paper. When you open the book, a leaflet falls out.On the inside the publication is explained much like I just did here. There is also a floor map of the exhibition that took place in 23.05. 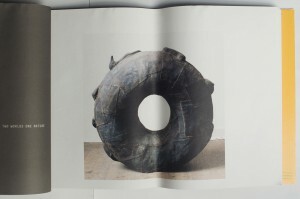 – 03.06.2012 and short descriptions of each participating artist. 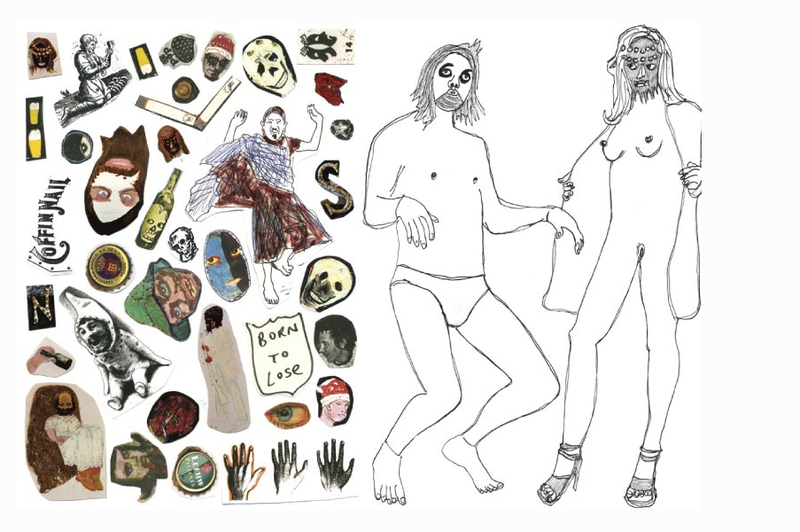 Each artist is given a spread to ‘exhibit’ his or her work. 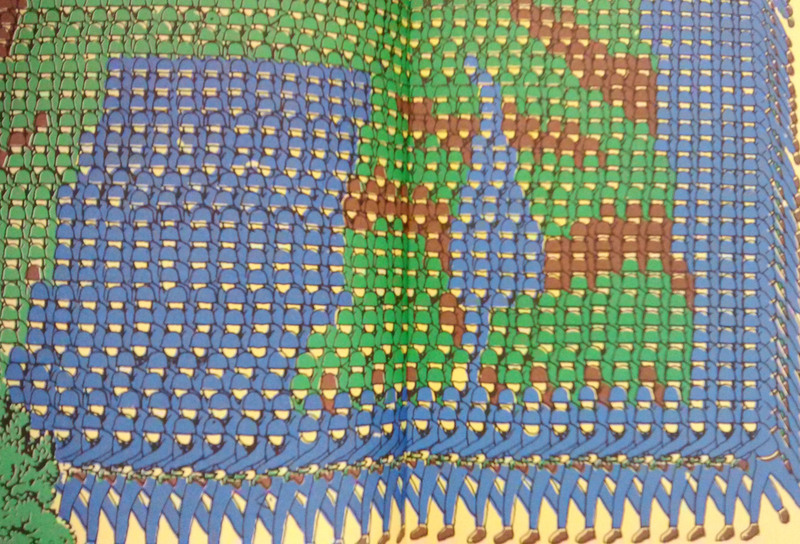 Each spread is the same dark blue as the cover with nothing printed on it except for the number and name of the artist. 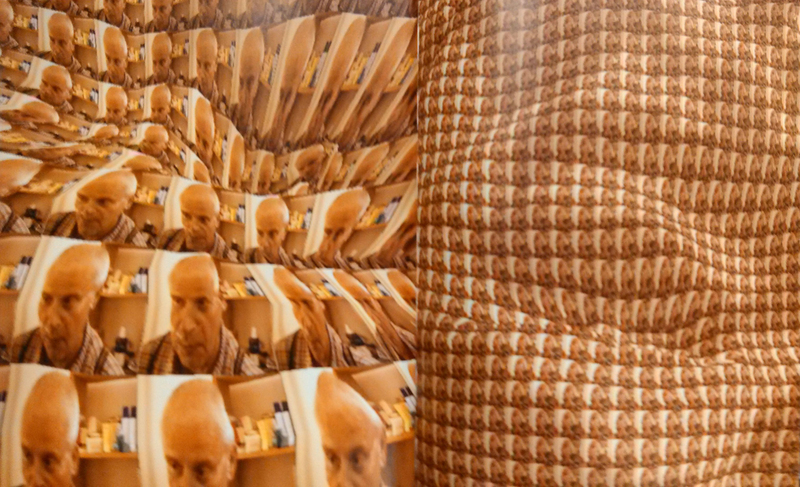 Instead of print on the pages themselves, each spread comes with a two-sided print the size of a poster showing the artist’s work. Needless to say these prints are another work by the artists. 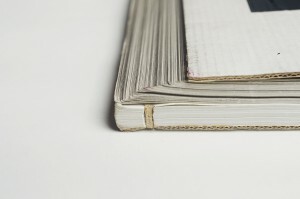 The publication has a sturdy binding which, after a brief research, might be called the over sewn binding. 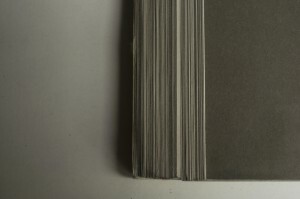 The size of the book is roughly 34.9 cm by 27.3 cm, with these measurements it falls in between formats Quarto and Folio. It gets close to the paper size B4, as well. 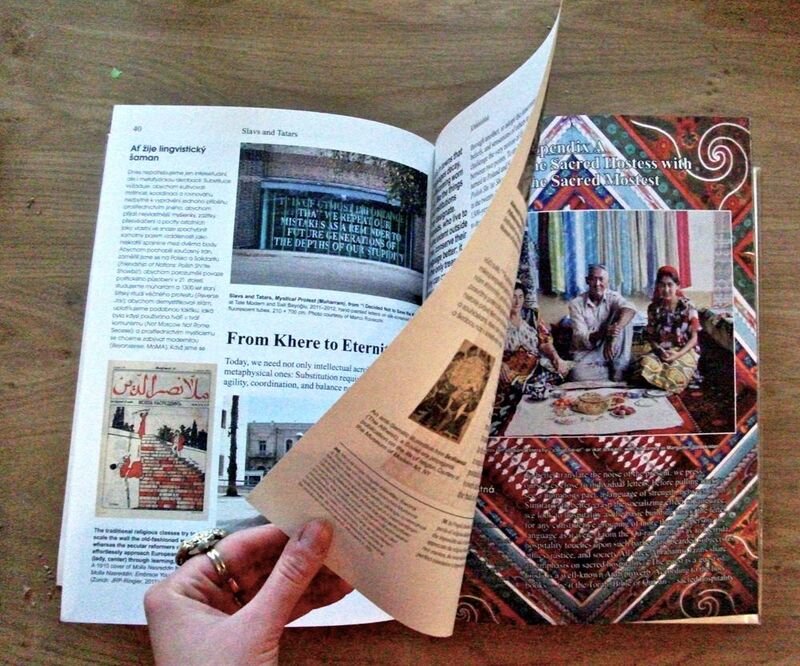 What attracts me is that the publication was done in collaboration with the artists. It creates a tight relation between the content and the publication. 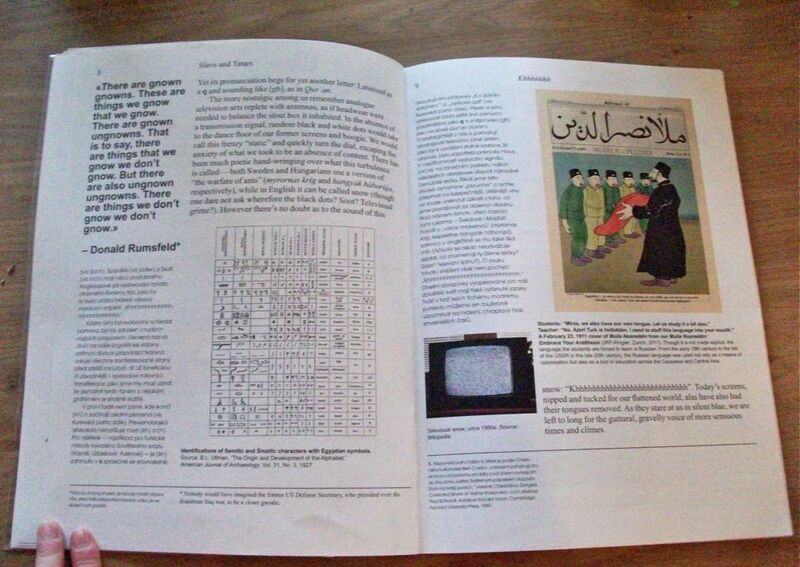 It is not only a publication but also a piece of art. What I find interesting are the posters in between, one gets closer to the work when it is possible to hold and even replace in another context. The design creates a space of its own. 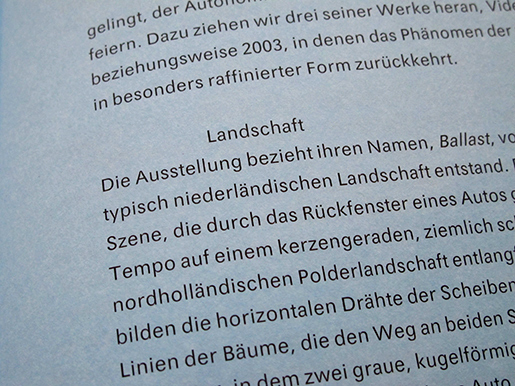 Other aspects that attracted me with this publication were the dark blue color, the size and the heavy-weight paper. All of which are personal weak spots of mine when browsing books. 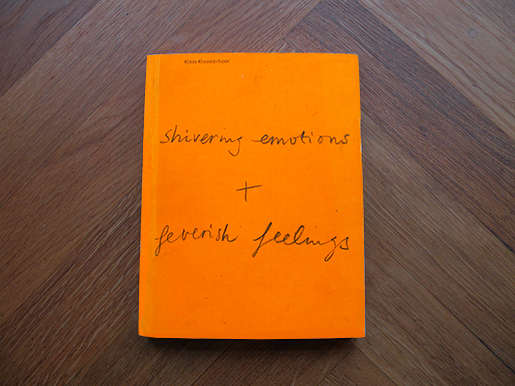 The book was designed by Merel van den Berg and the artists. 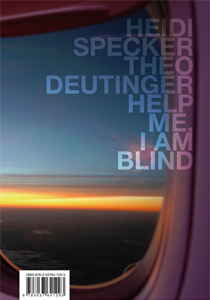 As far as I got with my research about van den Berg, it seems she has worked with combining posters and publications. Based on this, rather direct parallels can be drawn. Little do I know about designing books, but to me it seems that this publication is a typical art book and, I would say, trendy with its simplicity and very careful, ‘designy’ look. The publication is accompanied by a website, which is more or less just another version of it. For an artist, a book can be an interesting medium to show and explain work to the audience. 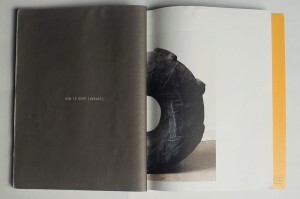 Graduated as a young jewellery artist, I made this year my first book whereby I experienced the importance of a book design in relation to the concept of your work: it should connect together seamlessly. 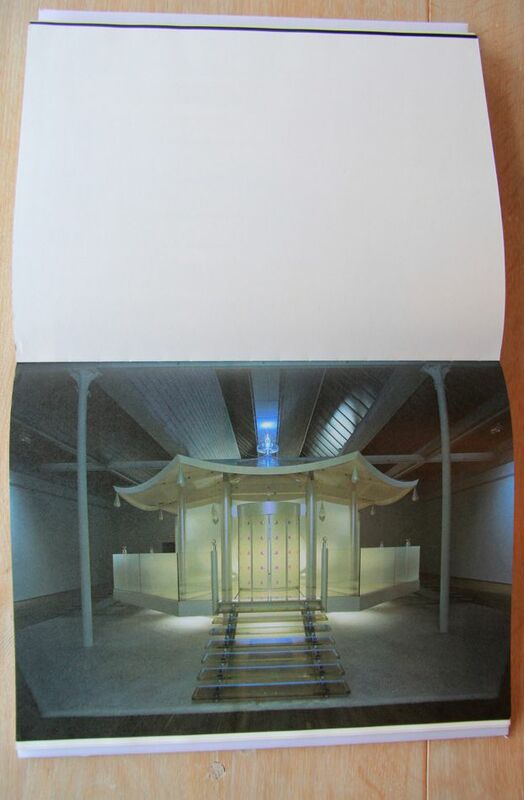 In this essay I will explore the book design of Pierluigi Cerri and his team, in relation to the work of the Japanese artist Mariko Mori. 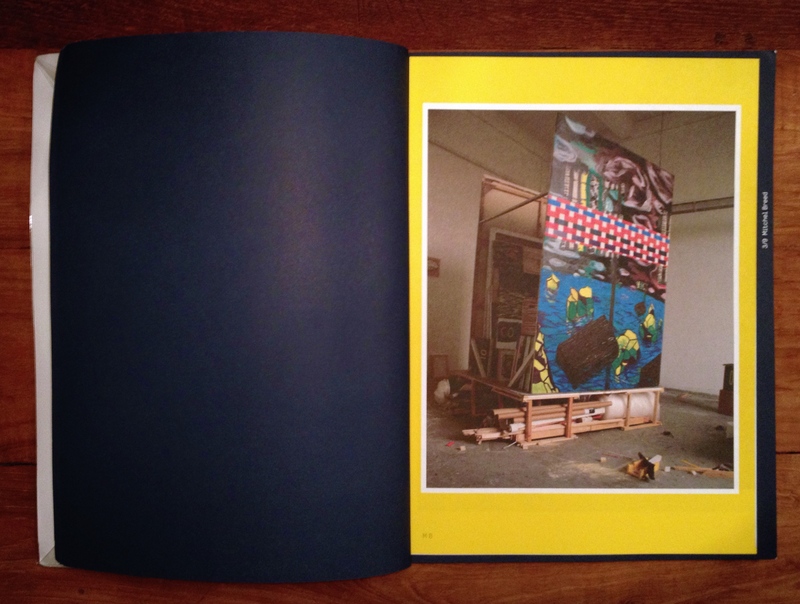 “Dream Temple” is the title of the book and of the project made by the artist. It is about the legend of the Japanese Dream Temple, a place for meditation and for studying Buddhist Sutras. 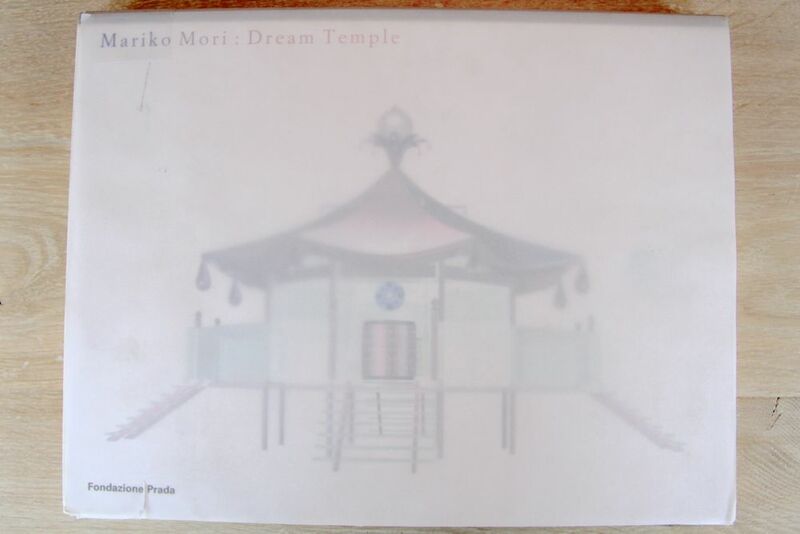 Look at this video to get an impression of her work: Mariko Mori Dream Temple. Mariko’s work is tying the knot between dream and technology, past and present, spirit and body. Looking at the book the first thing that strike me, was the transparent vellum that is used for the cover and when you look trough it, the slightly blurred computer drawing of the dream temple is visible. To me this creates a nice dreamlike feeling, which is in line with the title of the work. The title is printed in a purple/ pink color on the left corner of the cover and because of the font size it feels less important than the visual image of the temple. Remarkable is also the way the book is printed. This rectangular book is bound at the long side, what means normally that you look in the longitudinal direction; but in this case you have to look in the width. This isn’t typically Japanese, but is more common there than in Europe. 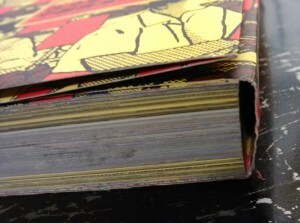 When I look at the structure of the book, I can already see from the outside that the book is split in different parts. It starts with a short introduction of the concept and finishes with an explanation of the inspiration, two interviews and a catalog. 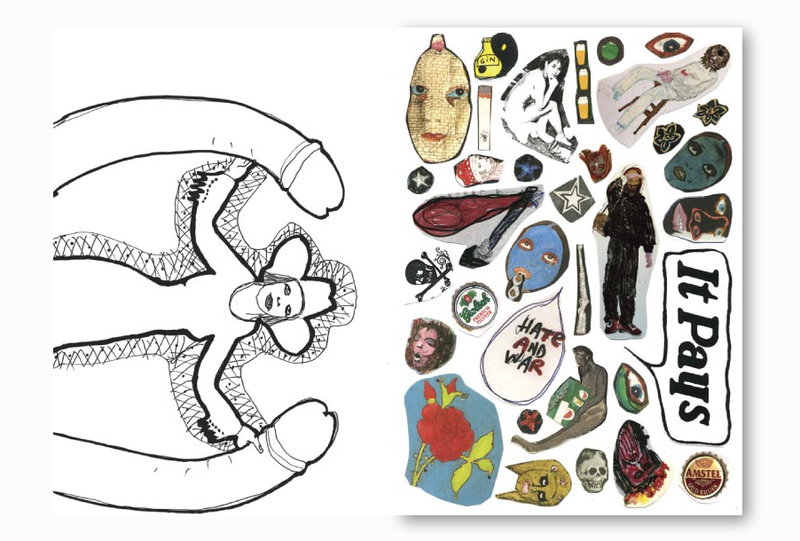 In between the book is organized in 6 parts, showing the working process of the artist, from the first drawings to the final artwork. 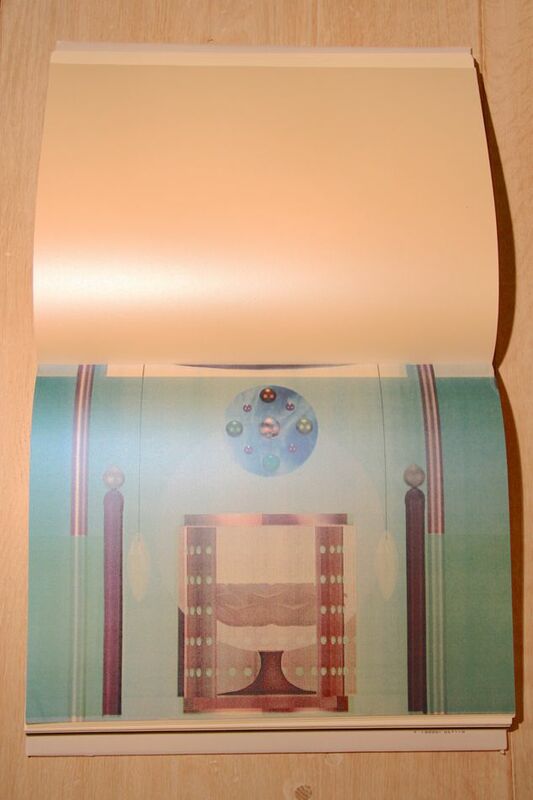 Every part is printed on different paper, with transparent vellum in between as the clear changeover. The layout is plain structured as well, like a documentation, with all the time the first page blank or provided with a Japanese inscription and the second one with images and drawings. After the introduction the book starts with pencil and watercolor drawings, where the artist is visualizing her concept. The yellowish paper where the drawings are placed in full size, creates a sketchbook feeling, also by the way how the paper feels. 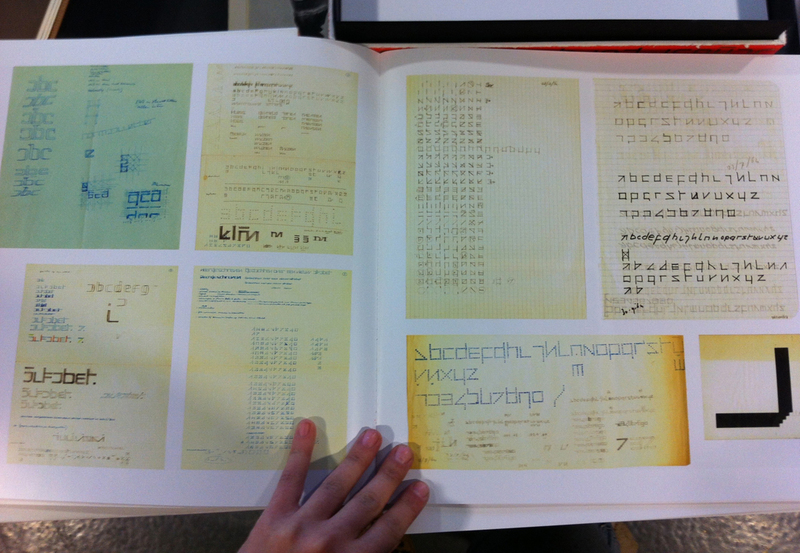 Some pages next to the drawings contain text. Despite of the fact that I cannot read the Japanese characters, they are visually very interesting to see and they suggest to be an inscription of the drawings. The text is placed on different places across the paper in a playful way and mainly in a straight line from the top to bottom. In my opinion, this part is the most personal one of the book. 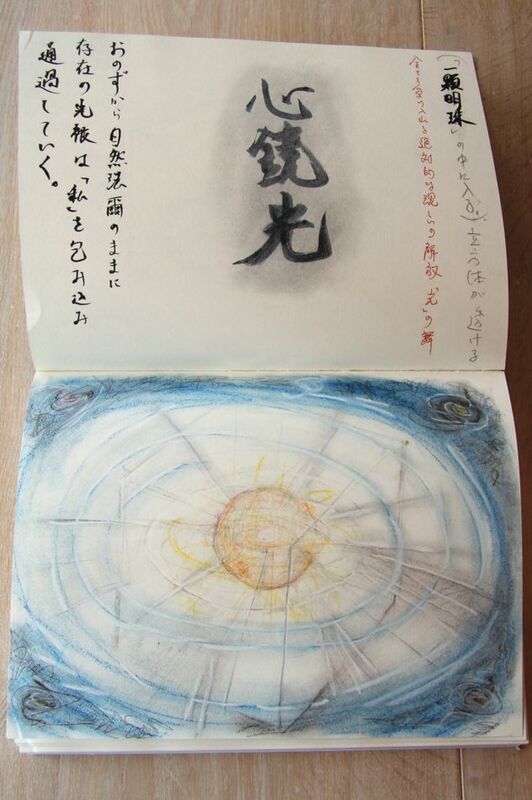 You really get the feeling if you are looking into the sketchbook of Mariko Mori. The second part is like a storyboard and is combining different ideas of the Dream Temple. The digital images in color are printed on a special type of paper with a pearl shine. This gives a mysterious feeling to the images and is verging on kitsch, what you can also say of Mori’s Dream Temple itself. This part starts with full paper size digital images and continues with pages separated in two, to display the pages of a notebook and hand written notes. Visually I miss something in the layout that makes it attractive to look at, probably that’s the reason for the special type of paper to give it some shine. 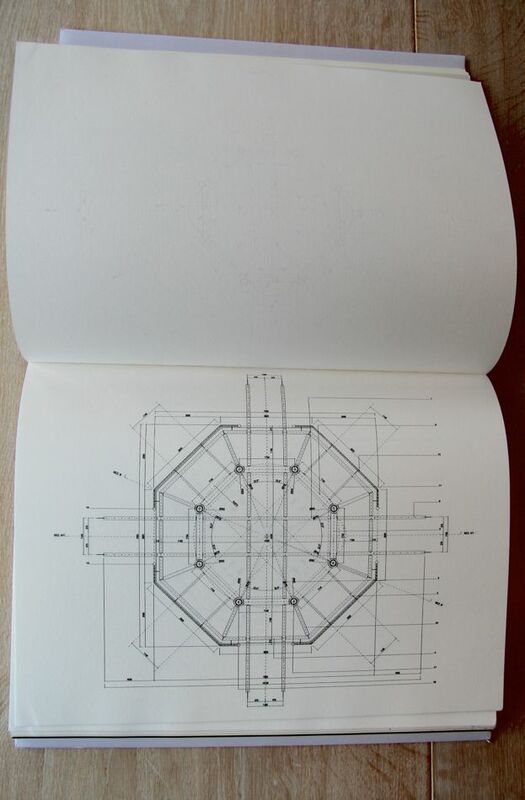 Architectural drawings, printed on a thinner paper with a ribbed texture, are the next step. This paper which is often used for hand drawings and paintings, gives the construction drawings a more informal look. The fourth part consist of more watercolor drawings and they are placed on the same paper and in the same way as in the beginning of the book. 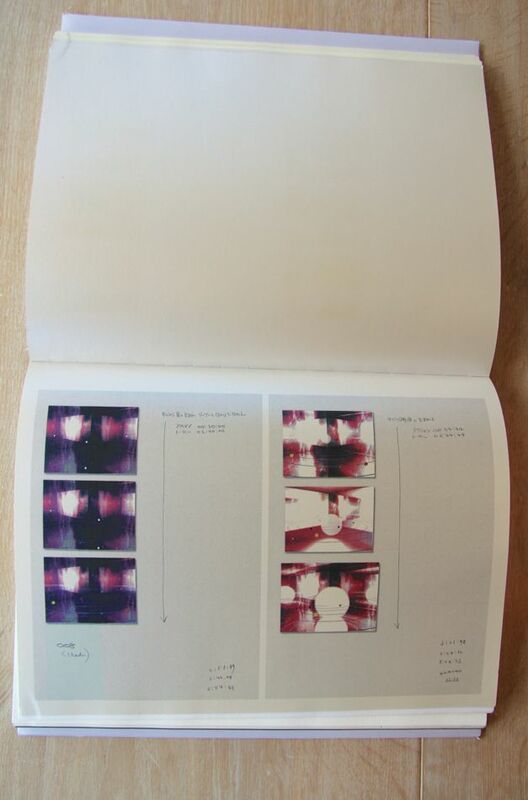 Then follows a more mysterious part, with black pages of video stills centered in the middle. She is showing her vision suggesting that a contemporary meditative space can be a mesmerizing journey into the micro and macro cosmic forces of creation. 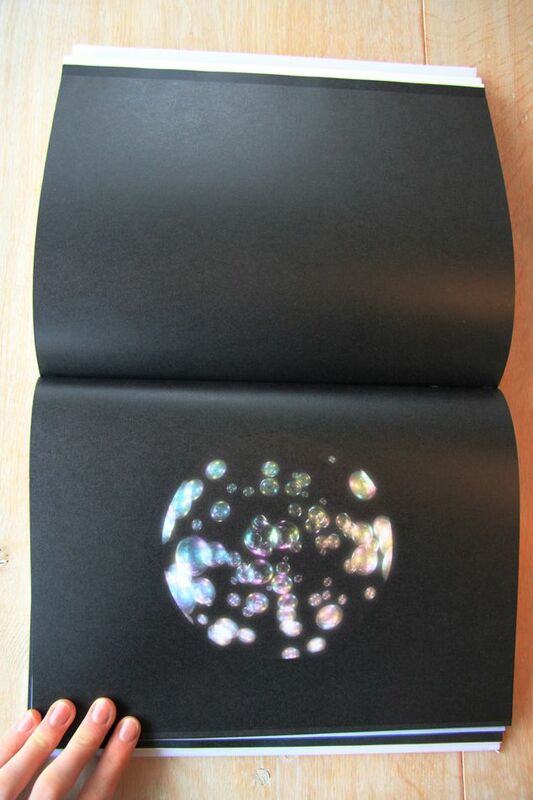 The layout in this part of the book is representing this idea, were the round images are printed on paper with a kind of glitter effect, so they look like magic planets. They blend into the infinity of the black paper; like the universe. The last part represents the final pieces in full paper size. The pictures have a strong dark – light effect to give the work a more mysterious and extraterrestrial feeling and the final built Dream Temple look like something of the future. To give more attention to the slightly dark pictures, the opposite pages are blank and white. 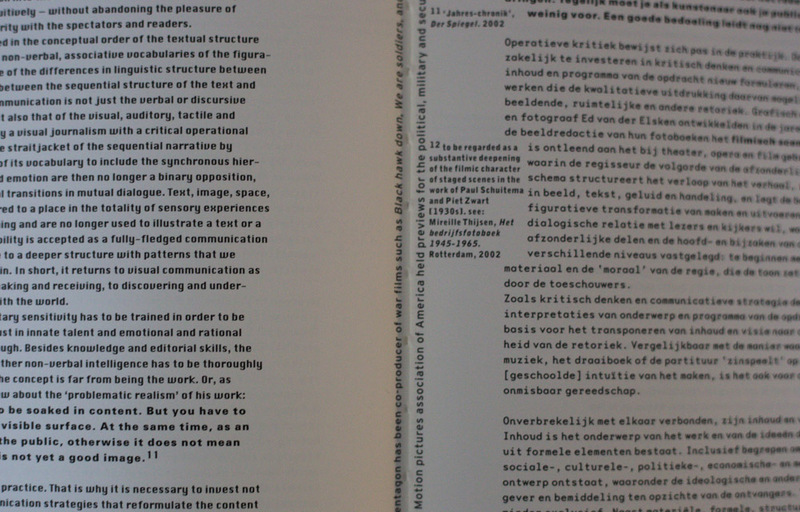 Looking at the typography, the book is clearly separated in two different parts. The introduction and documentation in the end consist of computer printed text and is left-alined. It creates a formal and aloof image. Different is the main part of the book, which feels more personal linked to the Japanese nationality of the artist and the subject. 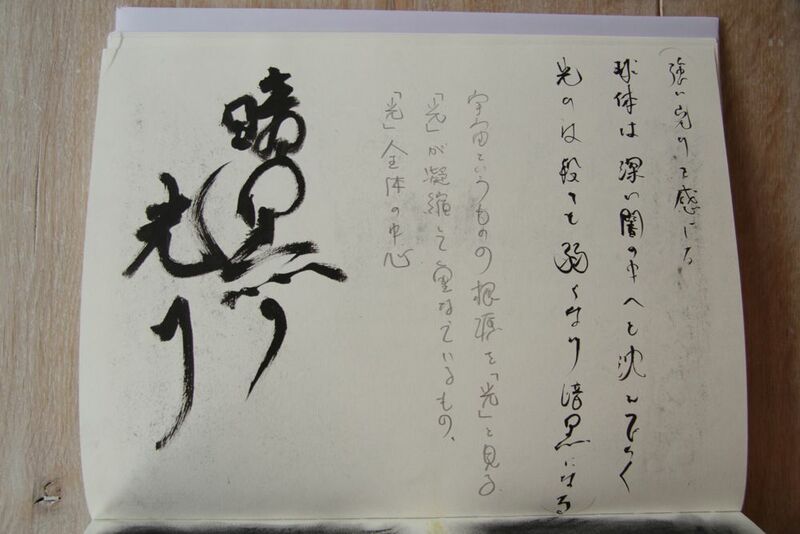 The Japanese characters are handwritten in pencil and also traditionally calligraphed with black ink and they are lined from the top to bottom. This typographic contrast is in line with the artist who is dealing with the past and present at the same time. Pierluigi Cerri and his team designed the book in a modern sleek and clear way, what makes it a bit impersonal. But still there are some playful elements who breaks through the formality, like the transparant vellum and the use of shiny types of paper. Looking at their other designs I see this tasteful details as well. 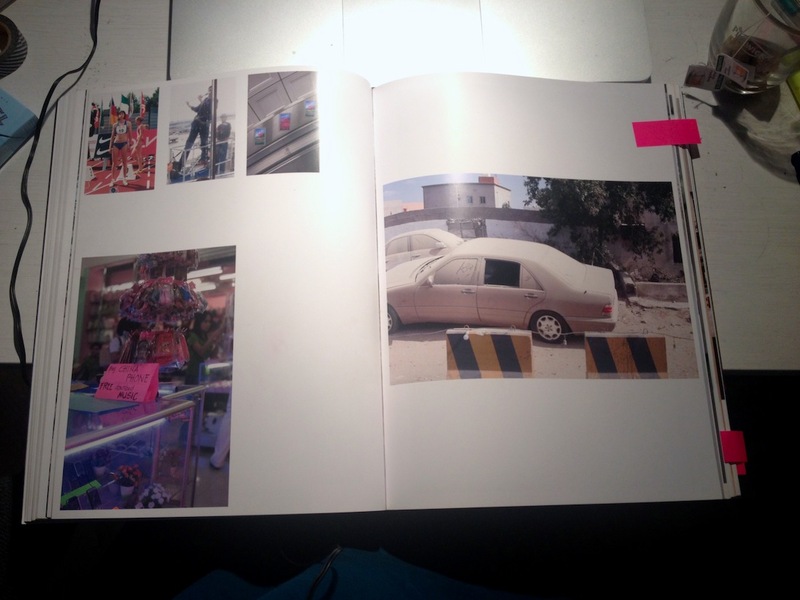 Despite of the use of different paper and layout, it remains rather formal for an artist book. It could be nice if the book was more representing the meditation feeling of the the Dream Temple. This book design reminds me allot of the art and design in Italy, where I stayed for a year. Italians are searching for a way to deal with contemporary life and the remains of their glorious past. They do that by combining a formal more classical structure, with playful elements and high quality materials. These elements also fit well with Mariko Mori’s approach. 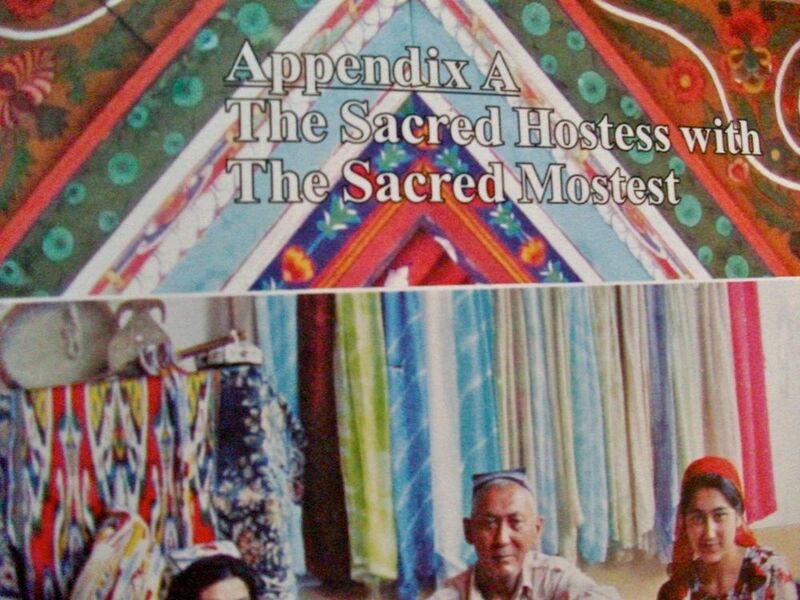 All in all the design of the this book reflects the high quality of her Dream Temple. This sparkling red cover with white arrows caught my eye in the library. 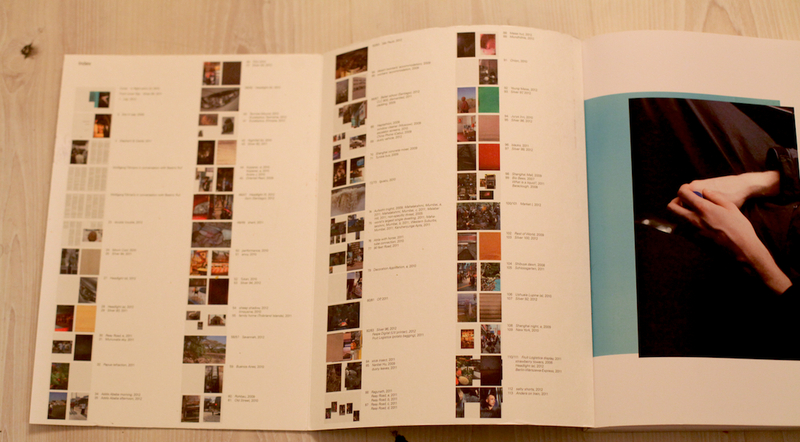 There won`t be more colors in the book (except for photographs). I don’t mention it as a regretful. 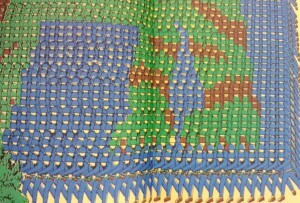 The retraint use of colours in the book emphasize both the cover and the inside. 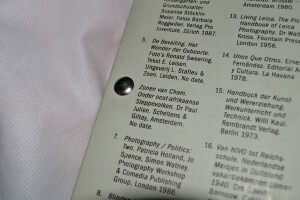 The cover is giving informations on the topic (conceptual art), the location (Amsterdam and further links) and the period (1960-1976).As an object the book is pretty thick especially because of the choice of the paper. 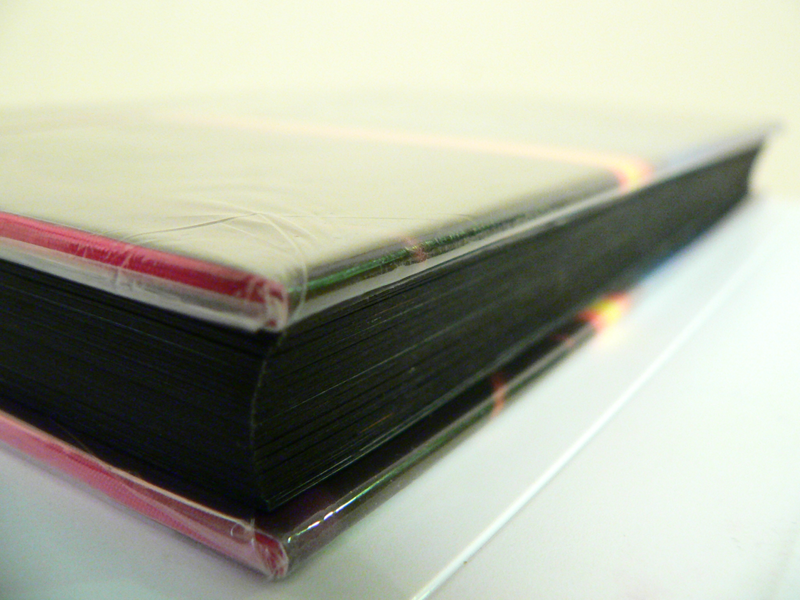 The cardboard of the cover is like wrapping the book which is bound separately with a black textile. The book is dealing with conceptual art. This field is generally using a lot of words to translates the works. In that case, graphic designer´s purpose is to communicate the ideas in the most efficient way. To reach this point they have to find a visual language to lead the reader in the way they consider as the most interesting. Here the structure is pretty clear. The book is comfortable as an object (as mentioned above) and comfortable to read. This is first due to the black bold letters and central texts. Then the colors of the photos are softened and finally the white paper is not too bright. 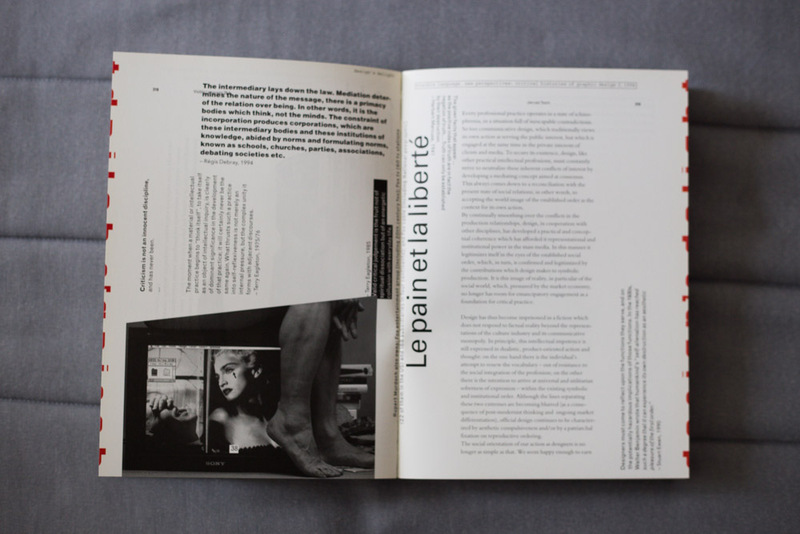 Now we´re sure the reader is not confronted to practical difficulties the designers still have to focus on how to relay the information and find the balance between text and image. 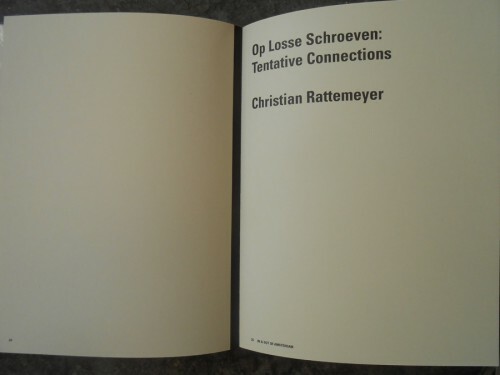 Divided in chapters, the book first talk about the raise of the conceptual art especially linked with artist who have been working in Amsterdam. 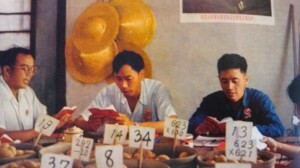 Then the book become more visual presenting artists through their works (mostly photos). So when the book comes closer to the artists and conceptual artworks it becomes visual when you probably expect more text and informations. The reader can easily spot the chapters because of the blank left page facing the title written in bigger letters on the right page. 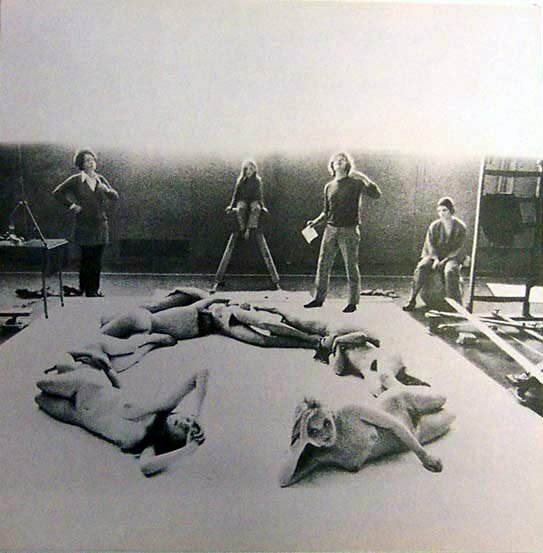 The first part of the book is about conceptual art and does not focus on artists so much. To illustrate the ideas developed in the texts and make them understandable images are included. The text placed in the middle leaves a lot of white space next to it. This is used to add details that are not directly part of the text like information concerning a photo or references. There is only one single typeface used. The only difference is the size of the letters making the text more or less big according to its importance. So this book is really trying to explain the content in an organized and comprehensive way. In the end of each chapter is an index and everything is gathered together in the end of the book in a bigger and complete index. This index also contains pictures to be in harmony with the rest of the books logic and design. Then we come to the second part of the book based on specific artists. 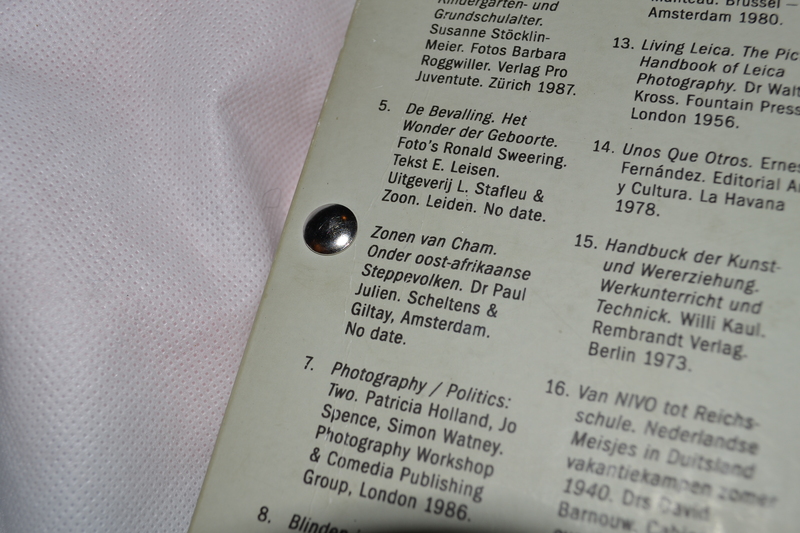 Here the text gets smaller and is present on the first left page of each artist´s chapter only. This because after using a lot of text the reader should be able to have a sensitive and personal approach to the artworks. The presence of the text is only to provide informations that can not be translated through images (biography…). So that we can focus only on the works themselves. At this point we only have pictures to understand. But still we are not facing the real artworks so the photographs and the graphic design can decide how to introduce them. First because of the angles and the distance, then by the size of the printed picture in the book and the choice to select colors or not, finally by the order of the presentation and the links created between the chosen images due to their positions towards each other. That’s all the explanations the reader has. With this system the graphic design leads to a certain way of looking at the artworks while they still give a lot of freedom to the reader. In my opinion the visual communication of this book makes its topic clear and understood but still asks a bit of interest and subjectivity from the reader who has to experience the book (exactly like in an empirical process) to get knowledge from it. 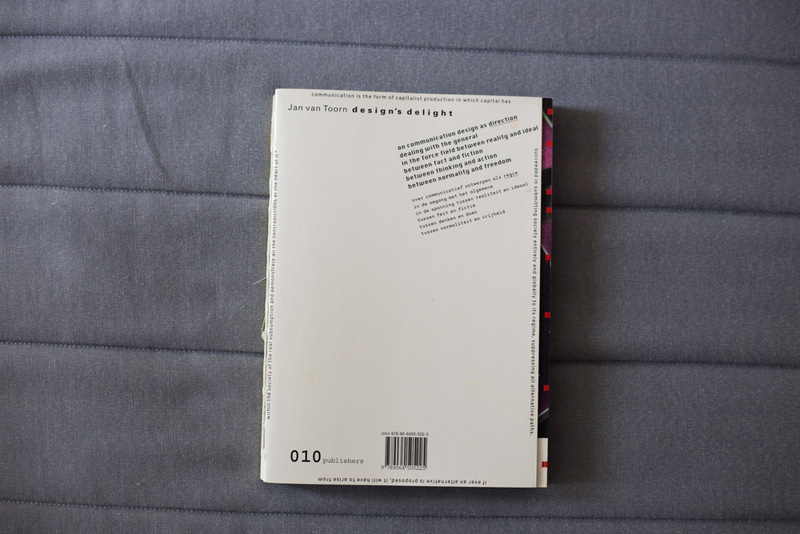 Design’s delight is a book of which as well the content as the design are by Jan van Toorn, a dutch graphic designer. 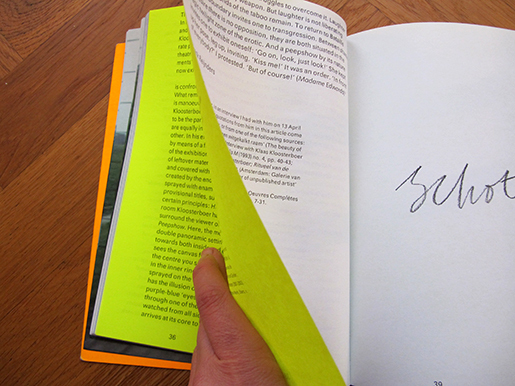 The aim of his book is to question and to comment the way designers work now. You can tell this by both the content and the way it is designed. The cover of the book is rather simple, but shows already some of the characteristics of the graphic designs of Jan van Toorn. Various thicknesses of letters have been used, to make distinctions between different sorts of text, the text in the top right corner, for example, is shown as well in English as in Dutch, but to divide these two the English part has been set in bold type. 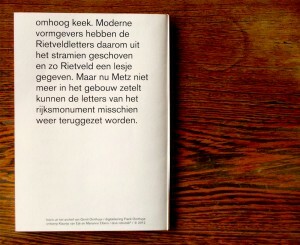 Another characteristic of Jan van Toorns design is making a text that should incite the reader to “active reading”. He does this by putting the text on a page in different directions, you can see this at the bottom of the cover, where the text has been put upside down, but also at the sides of the cover, where the text has been turned. 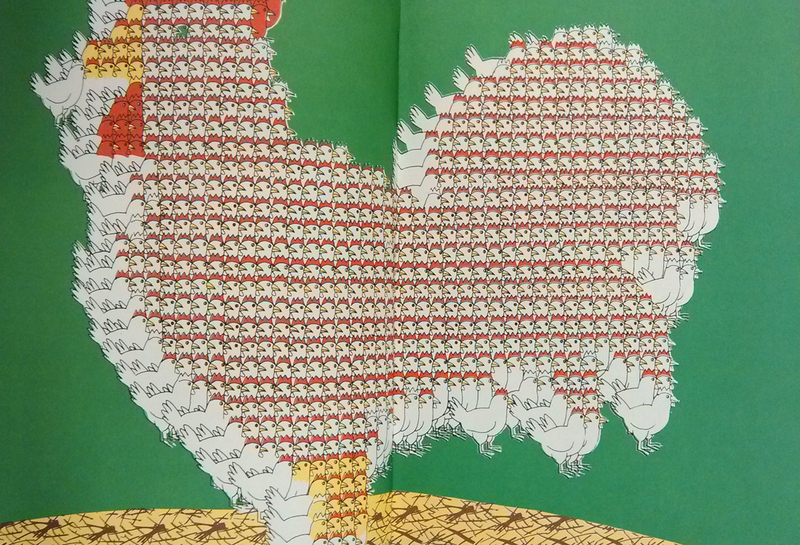 This stimulates the reader to read the book in an active way, by having to turn it around to read everything it says. The first pages of the book are used to offer an introduction to the further part of the book. 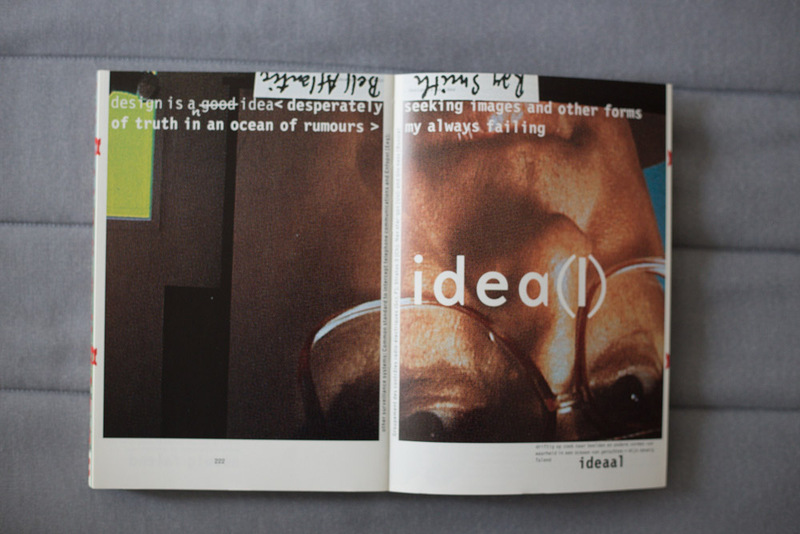 Different pages has been used to write the sentence “design is a good idea desperately seeking images and other forms of truth”, which actually is the core idea behind the book. By spreading the sentence over a few pages, more attention of the reader is asked to figure out exactly which point is made. With every page, a new word is added. Again the text is shown in both English and Dutch, and these two are again divided by setting them in different thickness and types. 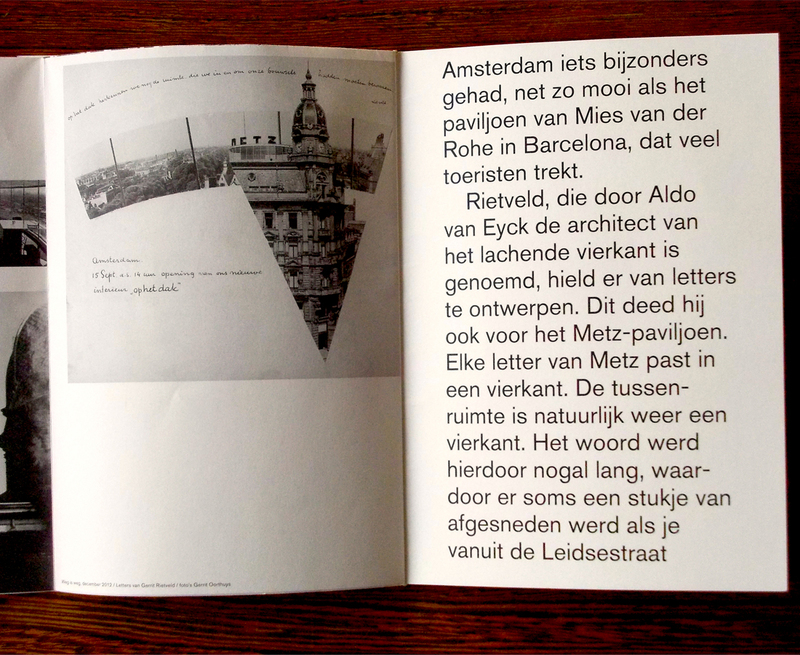 After the introducing pages the book continues with an essay on ‘thinking the visual’, placed on the page in a simple, clear way, again both in English and Dutch in different typefaces. Still, in the essay, van Toorn keeps adding sentences that have been turned around in the middle of the pages, and the pages after the essay are filled with little pieces of text that have been placed in an almost collage-like way, spread out and turned around over the pages, sometimes even combined with images, encouraging the reader to turn the book around and play with the book in order to read what it says. 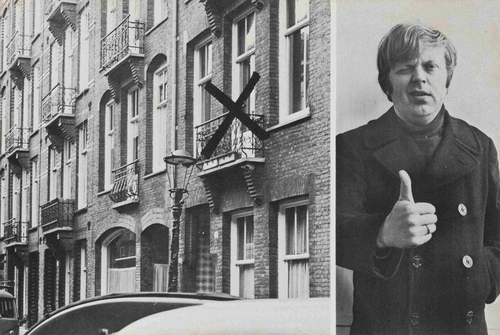 After this part, the biggest text part of the book, van Toorn starts working out the main idea of his book, showing it in a lot of pages filled with different images that have been taking from media like newspapers, television, magazines and various advertisements. Every single thing that is shown in these media has been given a form by a designer. 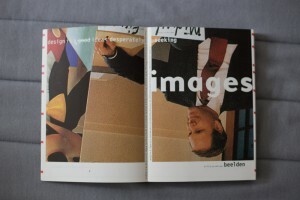 The book is on the role of this designer, and the influence a designer has on the way information is given. 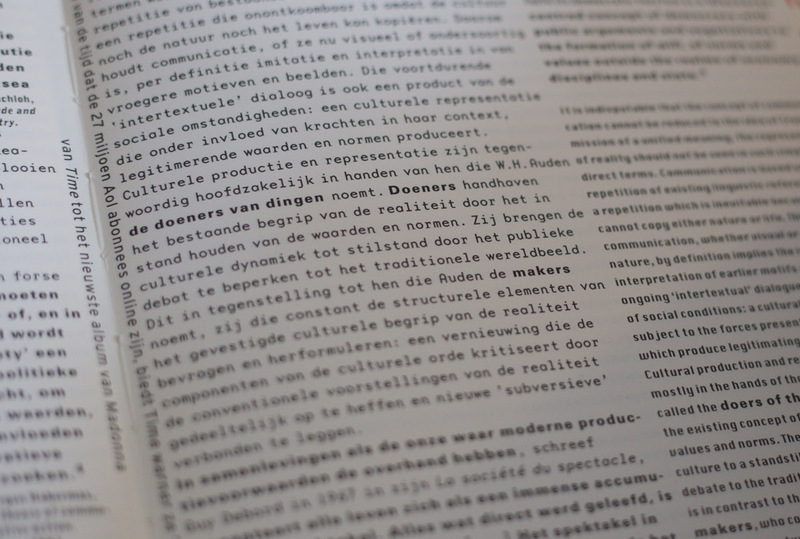 In these pages, the most important part of the book, Jan van Toorn explores the opportunities of the role of a designer. He makes various juxtapositions of images from different media, and by doing this he adds a different meaning to them, encouraging the reader to think about these different meanings, and, indirectly, the role of the designer who puts these images together. 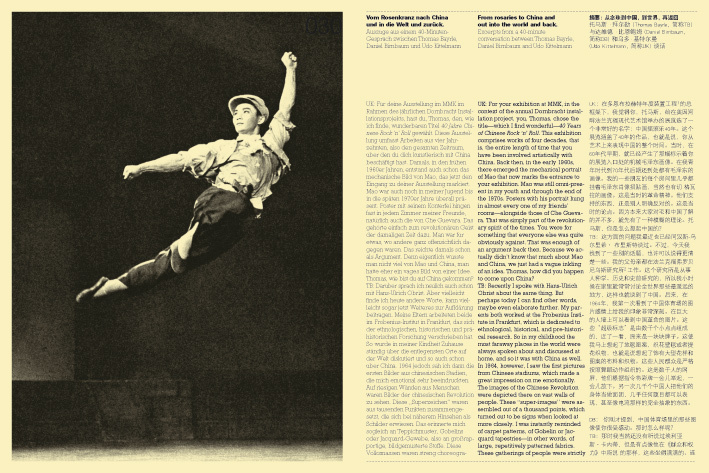 Most of the pages exist of one big image, shown as a spread, only leaving some white space at the bottom of the pages, where text is shown. Across most of the images other images have been places, but the design changes a lot, sometimes only 1 images are shown or images are placed next to each other in a row. The text below the images, again, has been placed upside down and turned around. 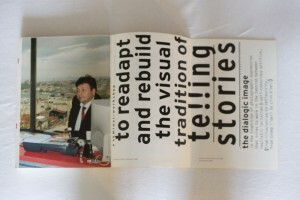 Because the text is below the image you make, as a reader, a connection between the two, as if the text is a description of the image shown above. Which often is not the case, but the texts mostly illustrates the meaning of the juxtaposition of the images shown in the pages. Also a number is shown in this white space, indicating the current chapter you are in, and the title of this chapter is always shown in the top left corner of the right page. At every first page of a new chapter the title of the chapter is also shown in handwritten letters, next to the number of the chapter. 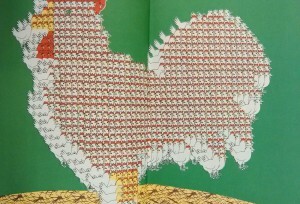 Because of this continuous showing of the chapter you are in, there is something that you can hold on to during the reading of the book, because of the chaos of the combination of all the different images, in which a lot happens and which contain a lot of colors, you would otherwise easily lose grip of what you’re reading. The next part of the book is again a small text part, on the method and means of dialogic practice. 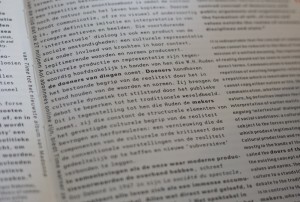 It is designed in a similar way as the essay at the beginning on the book, but now the English and Dutch part are not divided in two columns on the same page, but one page is filled with English and the other with Dutch. The same typefaces are used again to make the separation. After this text part different pages are used to write one sentence, just as in the beginning of the book. The design is very similar, only the sentence and the images behind it are different, but as a reader you understand directly that it refers to the start of the book. The last part of the book is the afterword, which is designed the same as the preceding text part. 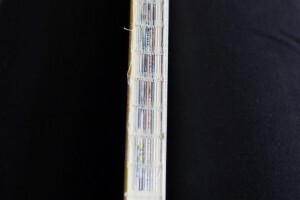 The book has a glue binding, and because the book contains a lot of images the spine of the book has a blend of all different kinds of colors, which kind of reminds you of newspapers and magazines, and it might as well be a reference to these media, where the images in the book are coming from. 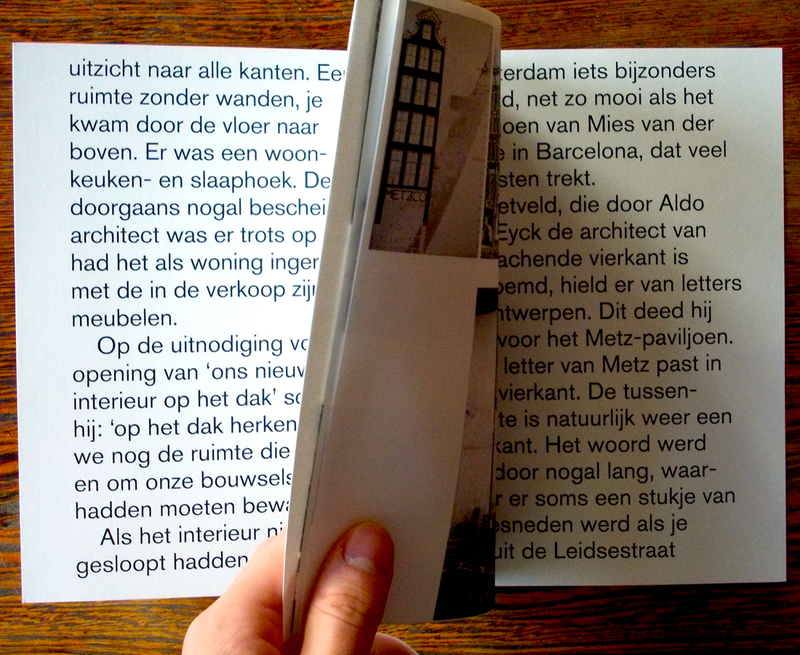 You can unfold a part of the back of the cover, which at the inside shows a poster-like design of a text in different sizes. 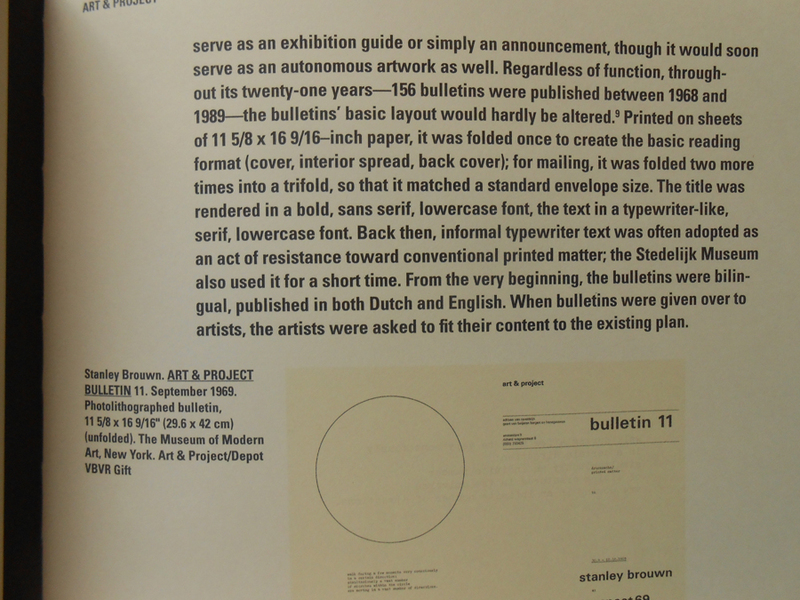 At the outside of this part, the part that is the last page of the book when it isn’t unfold, the colophon and the contents of the book are shown. All in all, I think the design of the book serves it’s content very well. The combinations of the images and text are very well done, they complement each other on every page. The basic design is very continuous throughout the book, which works very well because the chaos of the images keeps changing. 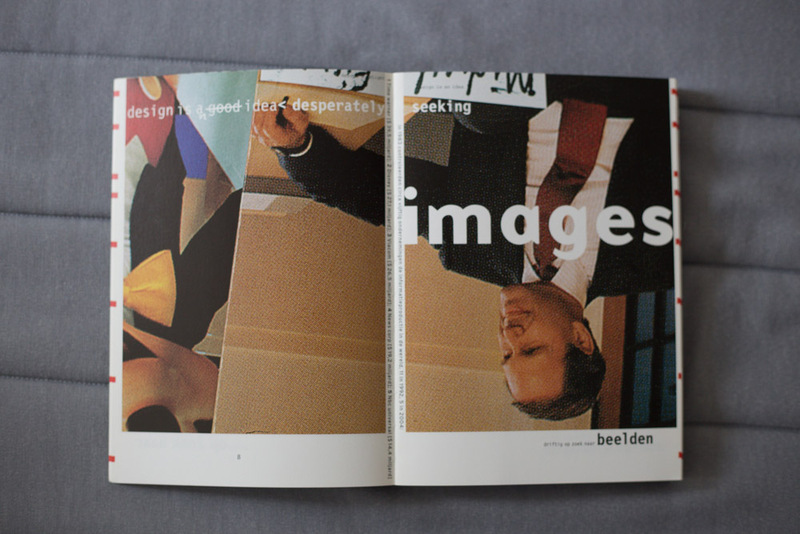 Design’s delight by Jan van Toorn was an intriguing book to research, because of both its content as its design. 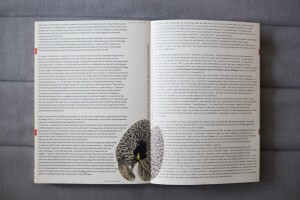 After some introductions of new ways of looking and dealing with books, I tried to focus in how the connection between artist and designer work together in the best way. When I say ” in the best way ” I’m always being subjective, understand a book in the way the artist wants is not always possible. During my first research I didn’t get amazed by any book , Every time I founded a special design for my eyes I couldn’t understand the connection between the content and the choices the designer has done, because there could be thousands of possibilities to represent that content in an understandable way, at this point I got confused but I had to keep with the research. but this time, I just only wanted to focus in my first visual attraction and then go deep in how that specific design works with the content. 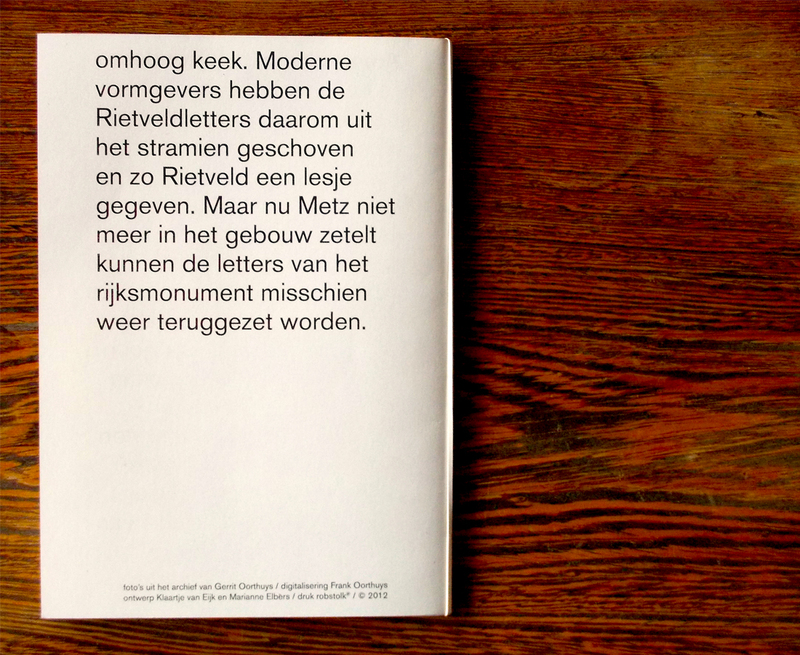 During this process, walking at the Rietveld library I found one book that was shocking for my eyes ,this book is called For the children and is designed by Rik Meijers . As an starting point I can talk about the cover wich consist of a painting collage . 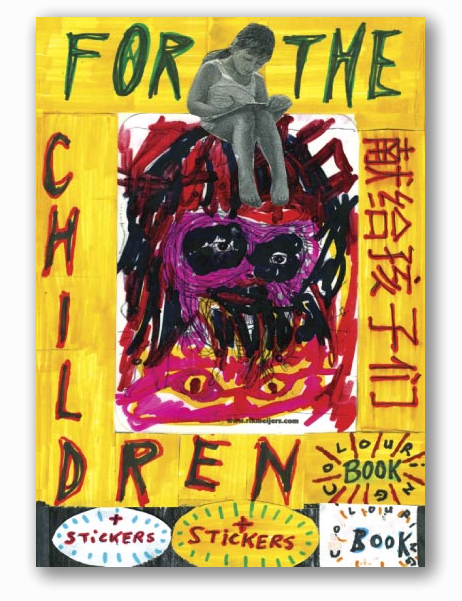 The titled >‘For the Children'< and some of the other words as >+stickers or coloring book< belong to the painting. 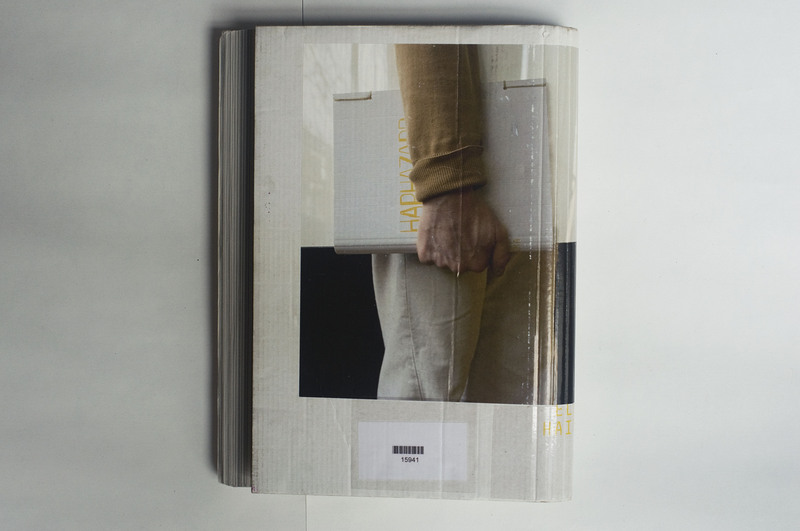 The paper used for the cover is shining and inside Rik Meijers used white cardboard paper. The design of this book is quite simple it gives all the importance to the drawings, which I guess is the purpose of the artist. This simple design make you wonder how to deal with the book, if making new creations in top, I mean, using the book as a real coloring book or enjoy and observe this book as a finish book and finish work, I think Rik Meijers wants to present the book in this ironic way which in my opinion could be logical by the fact that the drawings are not representing scenes for children. As a conclusion I thought this design was connecting perfectly to the concept the artist wanted, but then I realized that the artist was also the designer of the book , Rijk Meijers made me think about the artist being his own designer, which in my opinion sometimes could be really good because they know exactly how to present their work clearly, but sometimes could be totally the opposite and the artist needs a designer that understands the best way to show their work in a clear way . 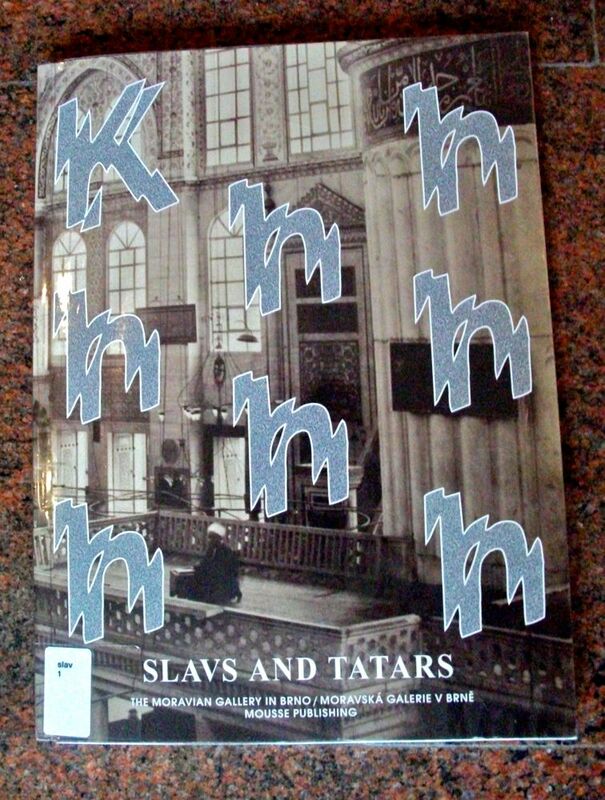 I was browsing through the list of books acquired this year at the Rietveld Library and I came across the title “Khhhhhhh” by Slavs and Tatars. Interesting title that made no sense to me and therefore made me curios and furthermore choose the book for my exploration and design research. 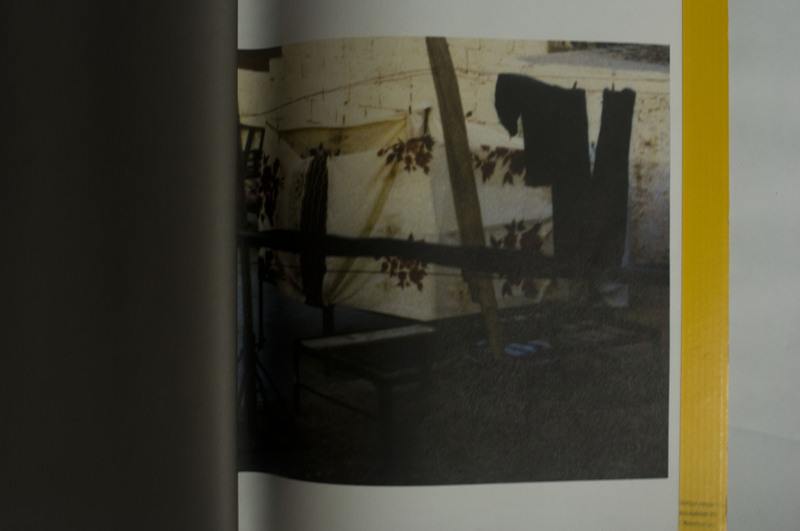 Now I know that Slavs and Tatars (S&L) is an artist group and this book is a combination of research and study alongside giving a written lecture and investigation through the book which was published in connection with their exhibition on the topic which the book investigates [X]. Before starting the exploration of the book, to be clear about who S&L is, this gives a pretty good hint: “Slavs and Tatars is a faction of polemics and intimacies devoted to an area east of the former Berlin Wall and west of the Great Wall of China known as Eurasia. The collective’s work spans several media, disciplines, and a broad spectrum of cultural registers (high and low) focusing on an oft-forgotten sphere of influence between Slavs, Caucasians and Central Asians”. Looking at the book the first thing one notice is of course the cover – afterwards turning the book around, feeling the weight in your hands and looking at the back. The cover consists of the K and the H’s from “Khhhhhhh” scattered over a picture of a room that looks like a mosque. The letters are in a sort of bad computer game-like font with a thick white border and a filling of grey/silver’ish screen noise. Strange combination which immediately intrigued me and invited me to open the book and look at the inside.The way the letters are scattered is of course a choice which have been made, like everything else in the book, and the way these letters are scattered is no different. They move up and down in a rhythm that divides the cover into sections. Also the effect of the font adds to the feeling of them moving. 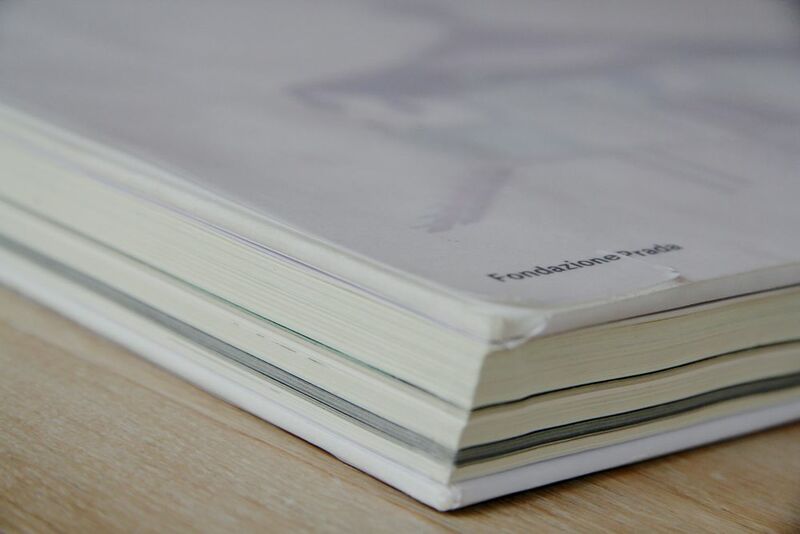 The book is slightly bigger than A4, half a centimeter on each side and has a thicker cover but still not hard, which gives it the feeling of a catalog more than a book-book. The back of the book is a continuation of the mosque room with a big white print on it of an open mouth with the two sentences:”Mothers Tongues” and “Father Tongues” written under it. By looking at the cover and the back you already get a feeling of what the book might be about. Something with letters and a strange pronunciation of /sound from this “Khhhhhhh” + the mosque, the strange print of the open mouth which almost goes “AAAAAAHHHHH” at you, the inside of the mouth with foreign alphabet symbols and finally the Mother Tongues and Father Tongues indicating, again, language and inheritance of tongues/pronunciation. Opening the book there is no first page with information about the publisher, designer, year or anything, but on the opposite page there is the table of content written in Russian and English opposite of each other as if there was in a way some kind of comparison between the two languages. Maybe the book is about language? The paper is thicker (115 grams), a bit yellowish and has a really nice smell. As you can see on the picture, the book has chapters and sub chapters. The following page is a Russian text in fat black lettering and two translations of the same text in English and I think Czech. The text says:” Genghis Khan, me you midnight plantation! Dark blue birch trees, sound in my ear! Zarathuse me, you twilight horizons! Mozarticulate me, dark blue sky!” – by Velimir Khlebnikov. I found it interesting that the two first letters in Velimirs second name are Kh. Also Genghis Khan was the leader of the Khan clan in Mongolia from 1175. 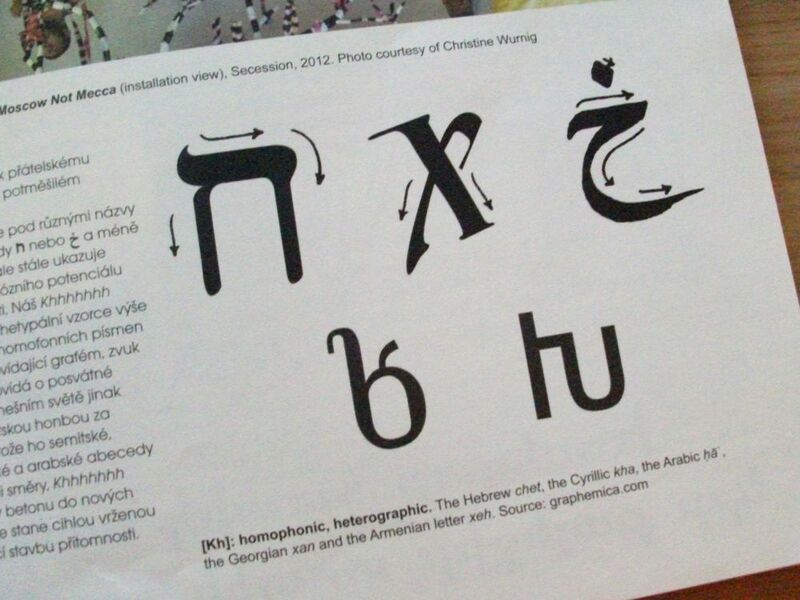 After this starts a long investigation of the phenomenon Kh which I, before reading this book, had no idea was a phenomenon in language and how it undergoes different names and symbols in Semitic, Cyrillic, Turkic and Arabic alphabets. 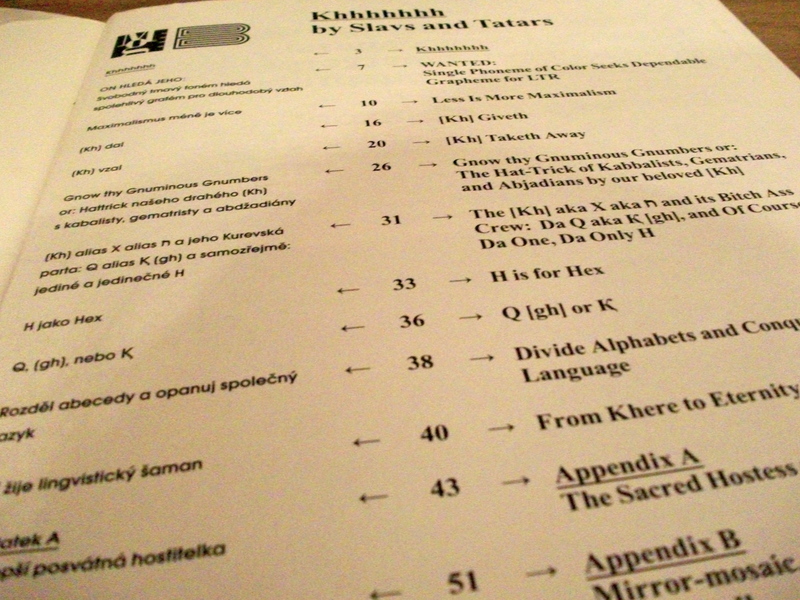 Because of the different languages each page consists of an English text, the translation in Russian, pictures from Slavs and Tatars exhibitions and beautiful drawings of the Kh in different languages and in which direction these symbols are to be drawn. The choices which S&T has made for this book helps to pass on the investigation/research feeling and works almost like having a wall with a lot of sticky notes and pictures on it. They make this work without being confusing, which very easily could happen, by dividing the pages into sections. As in the table of content, the pages inside the book are divided so the left, slim column is for the Russian translation, most of the rest of the page has the English text and then you have pictures, illustrations and alphabets/symbols scattered over the rest of the page, with descriptions of each picture under each picture + footnotes. Busy, busy pages! The graphic of the lettering becomes more like a picture on the page than a text. Still everything is framed and kept inside a border of approximately 1,5 cm. There is a lot of information on each page and the drawings, the texts, the translations and images are placed differently on each page so when you turn the page you have no idea what will come at you. As mentioned before this could give a very confusing experience with the book, but instead of being confusing it just keeps you really interested and curious. S&L them self says in an interview that with their publications they: “Attempt to resuscitate the sacred character of language, from the devotional act of reading to the ritual of the printed word”, – which might be why the book design is how it is, jumping up and down and moving on the pages as if it was the spoken language with it’s rhythm, different heights and lows and not the printed word. It is almost impossible to describe the book with words, especially written words, which funny enough makes so much sense considering what the book is about. To indicate that the book moves into a different area in Appendix A, the pages changes completely and the background is a big photo. And the same goes for Appendix B, which is the last chapter. I would really recommend you to have a look at this book and Hey! ….